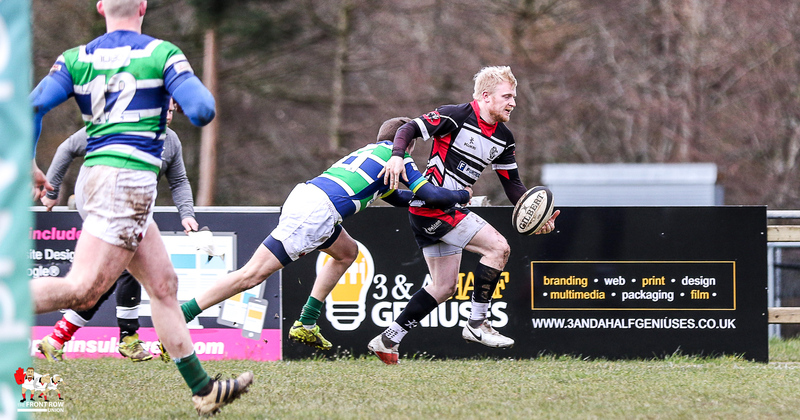 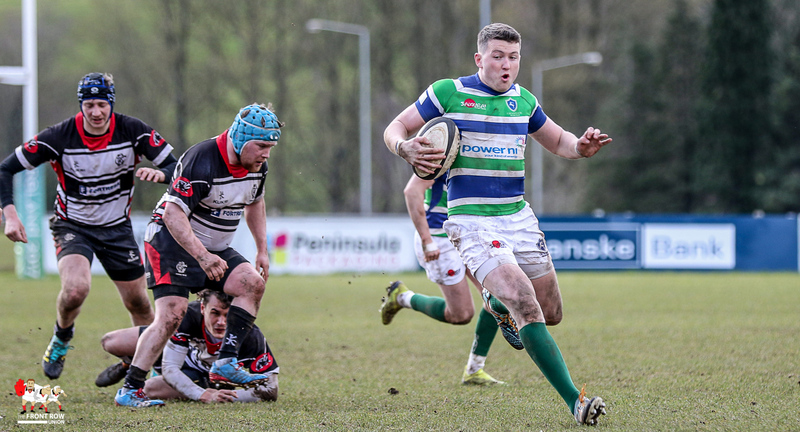 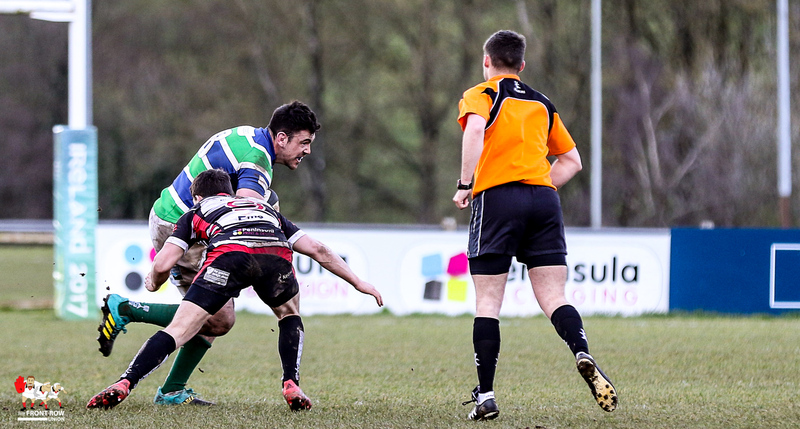 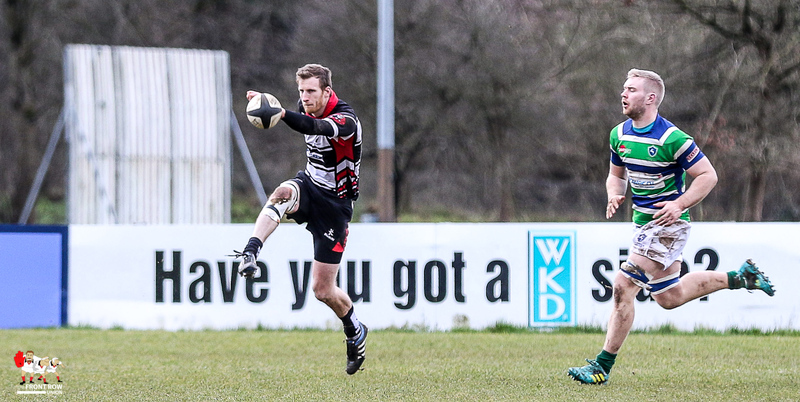 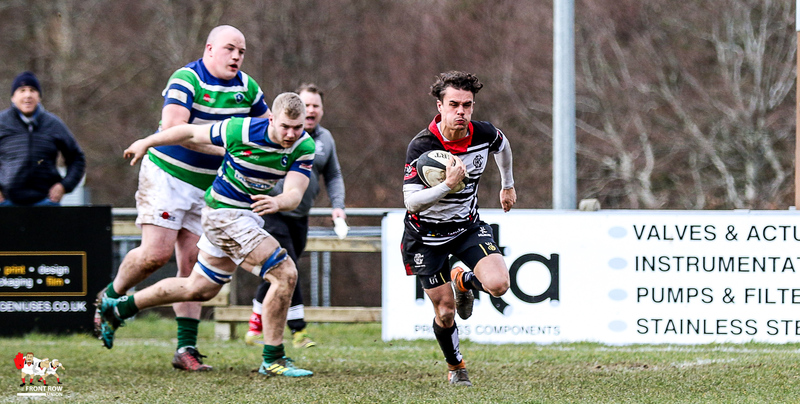 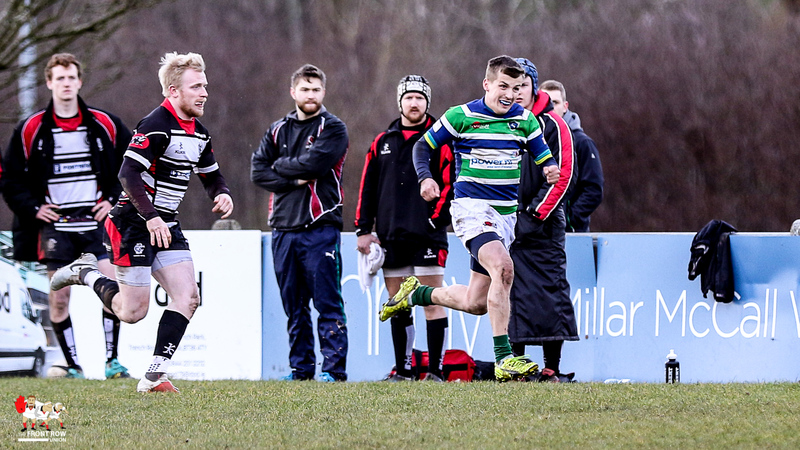 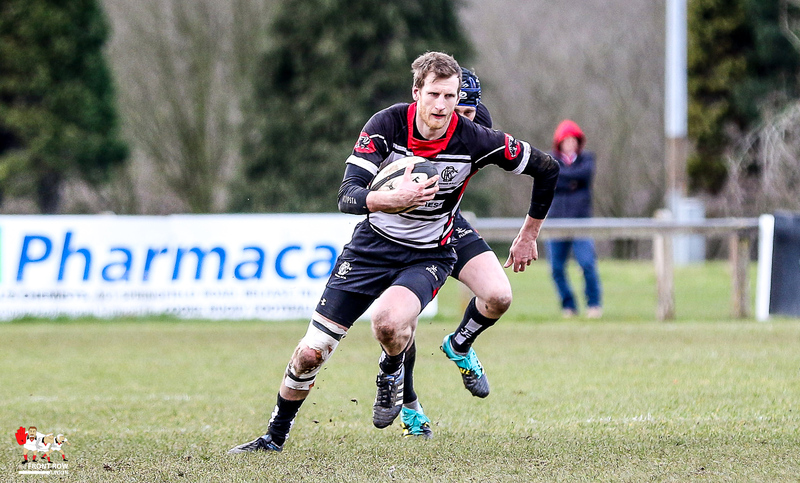 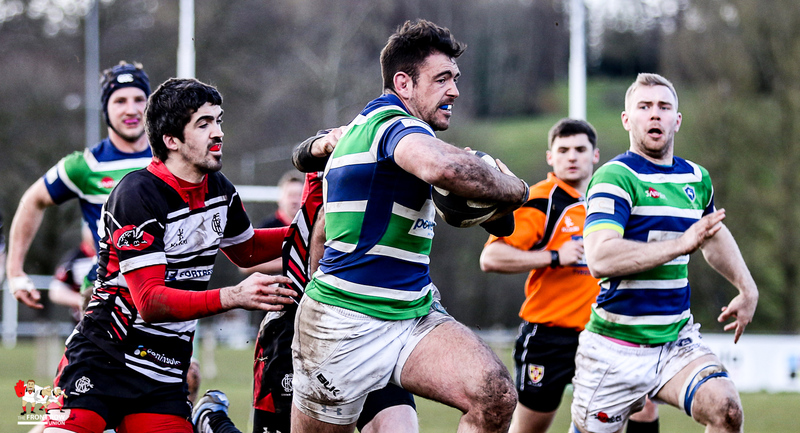 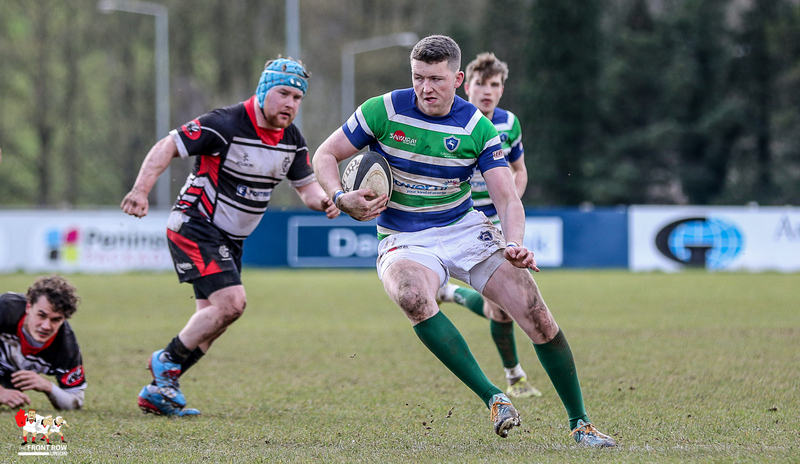 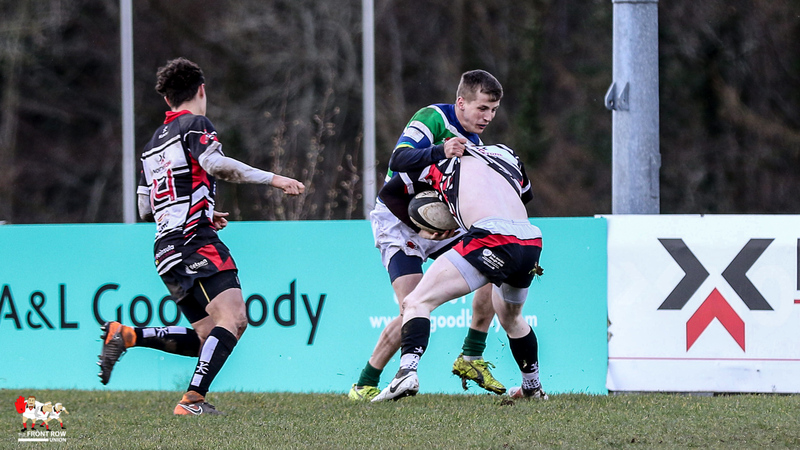 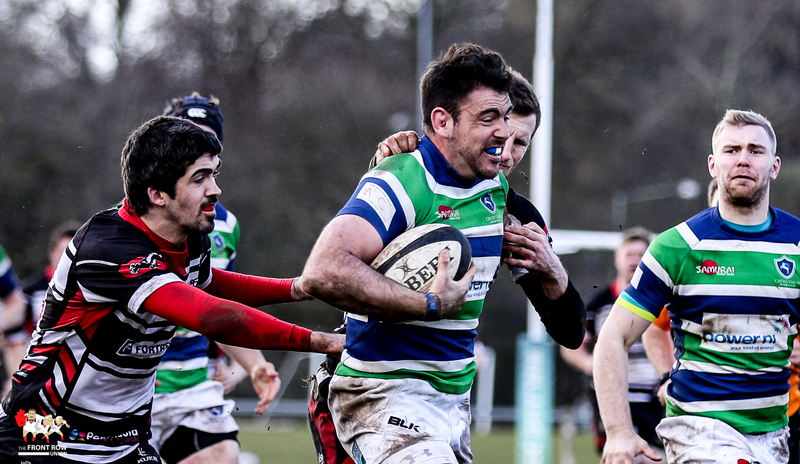 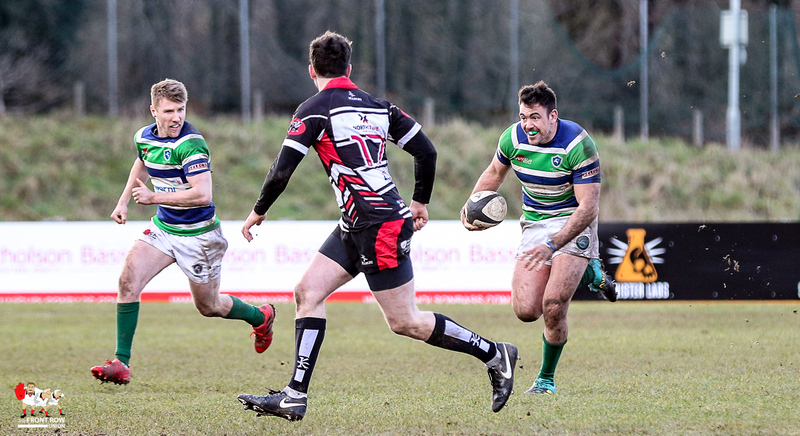 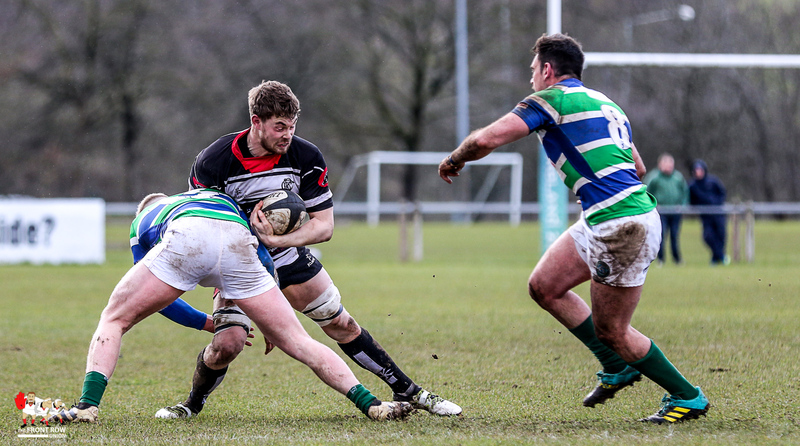 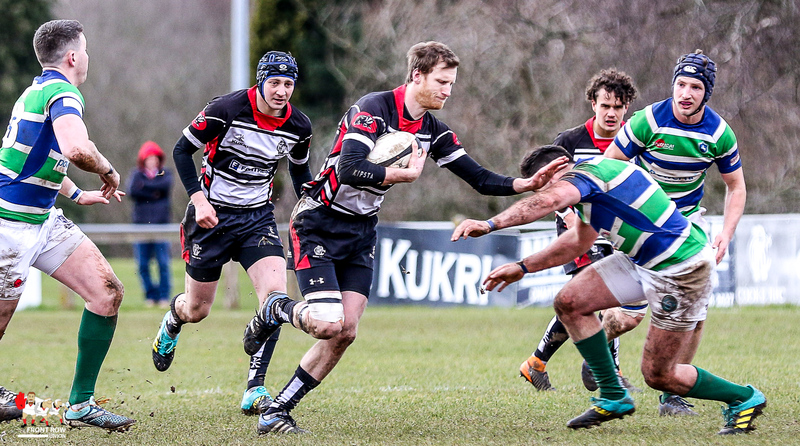 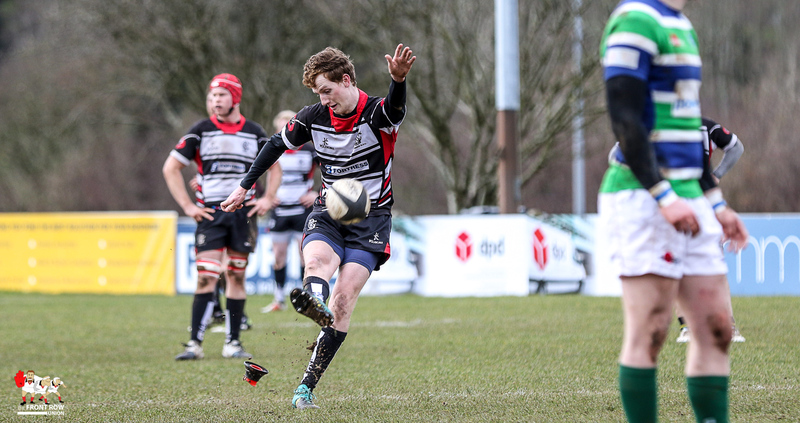 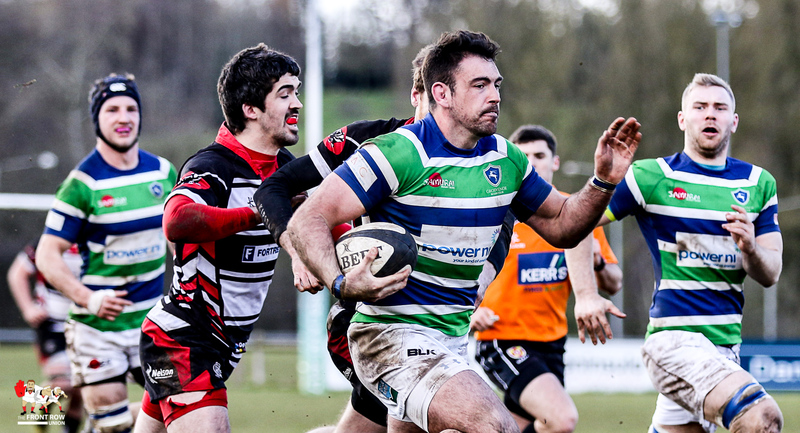 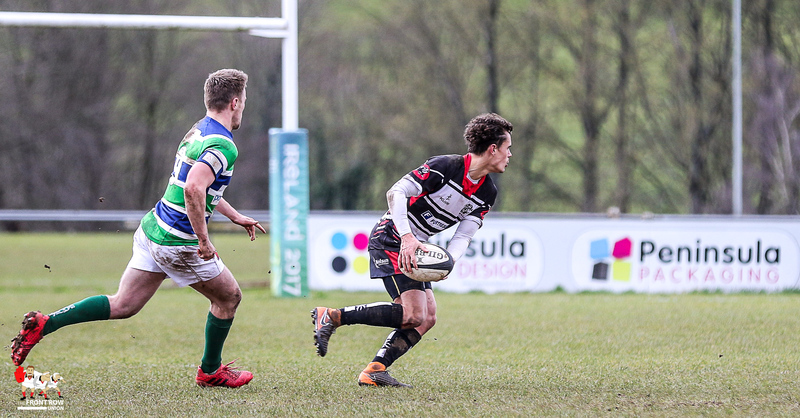 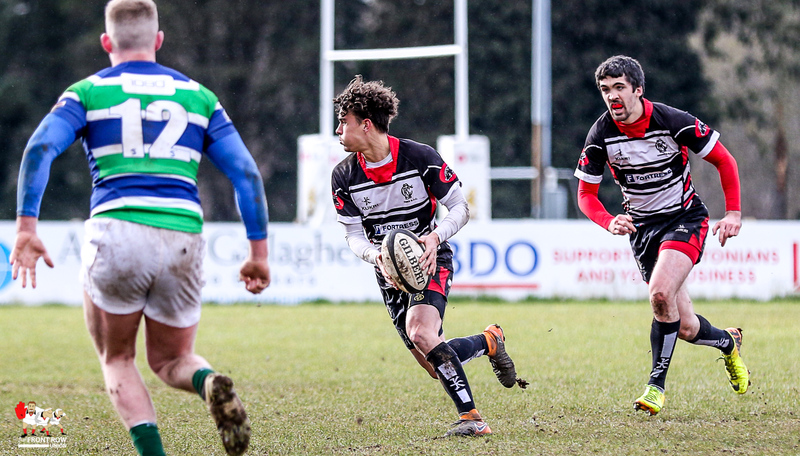 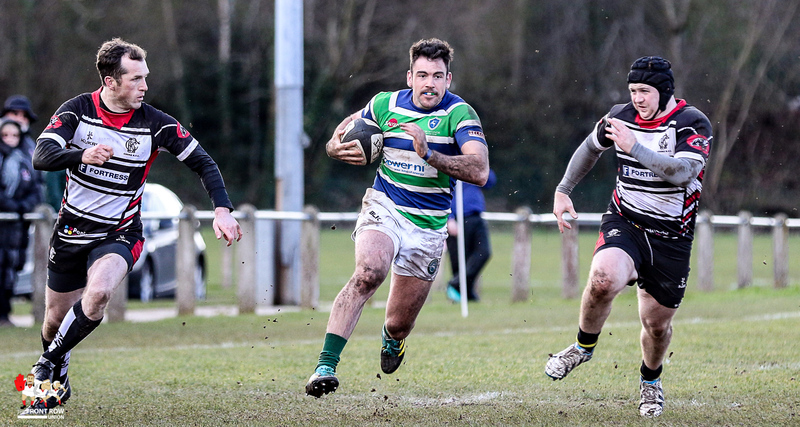 A second half brace from Grosvenors Andrew Kelly secured their win against Cooke. 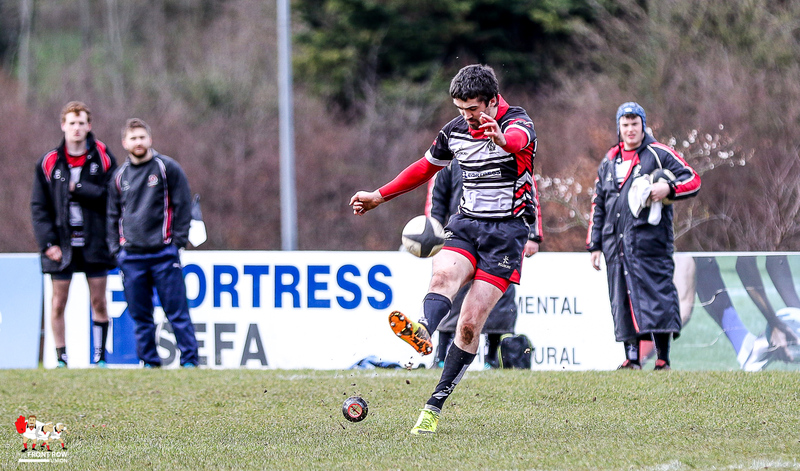 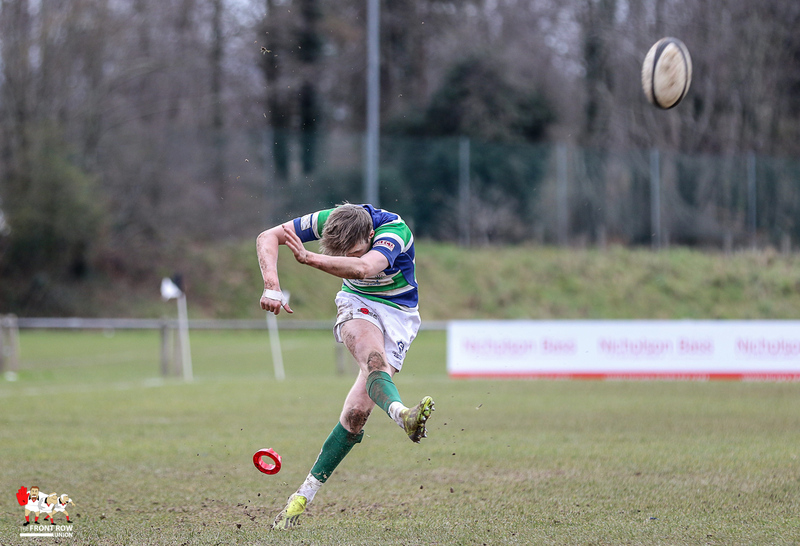 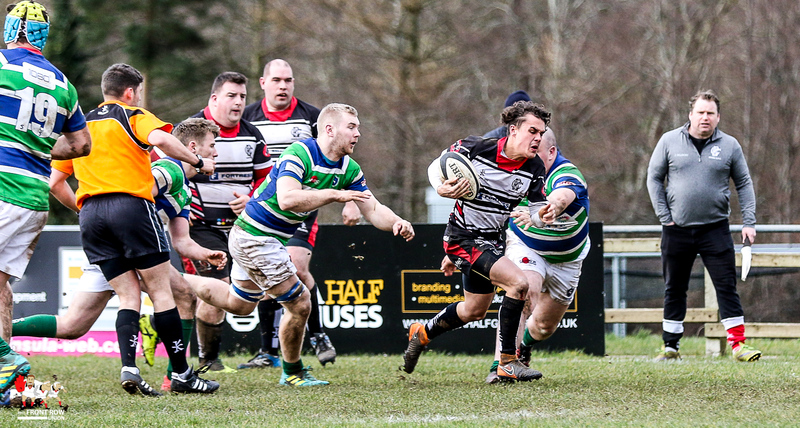 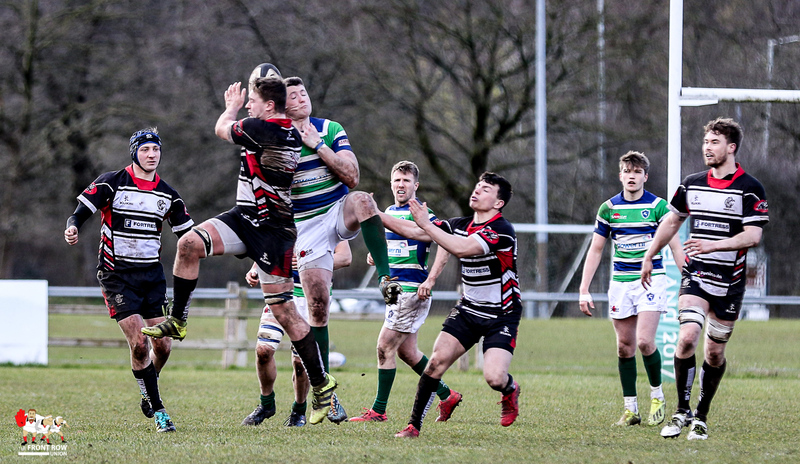 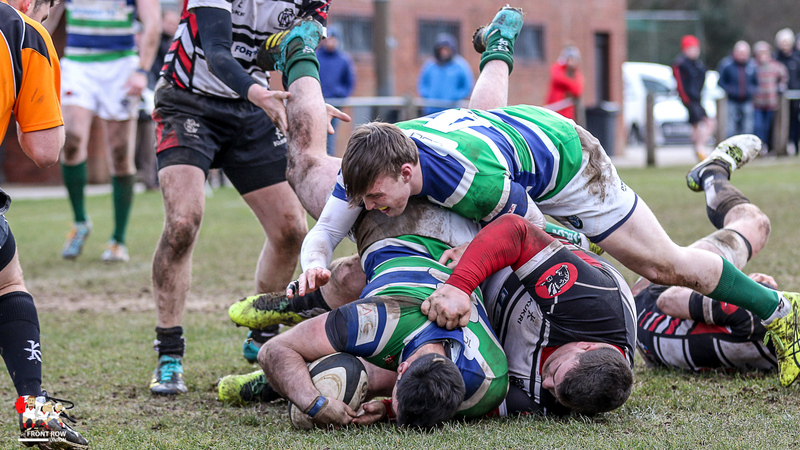 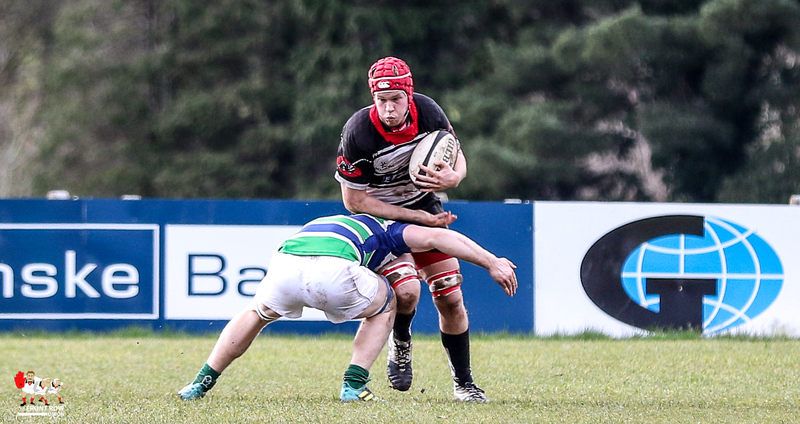 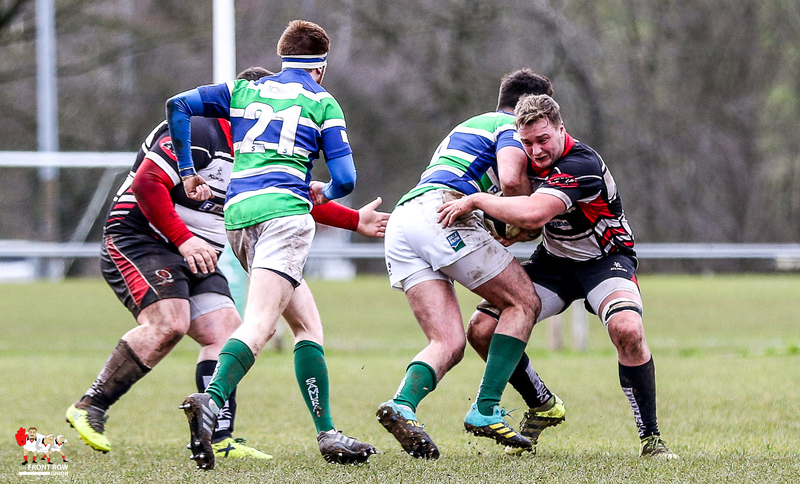 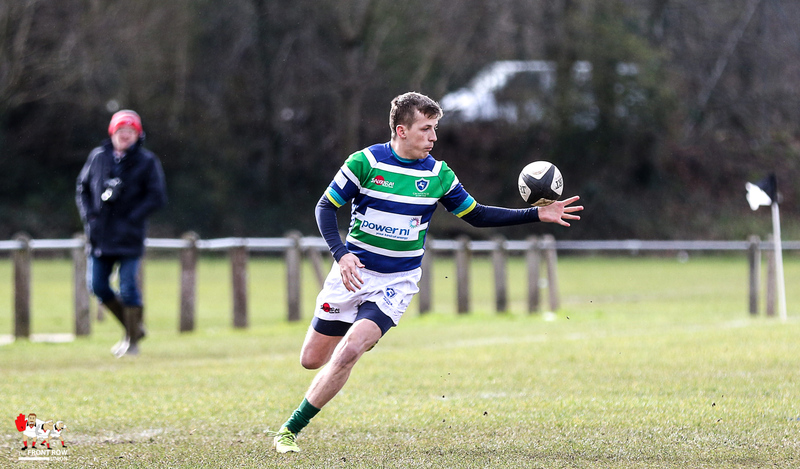 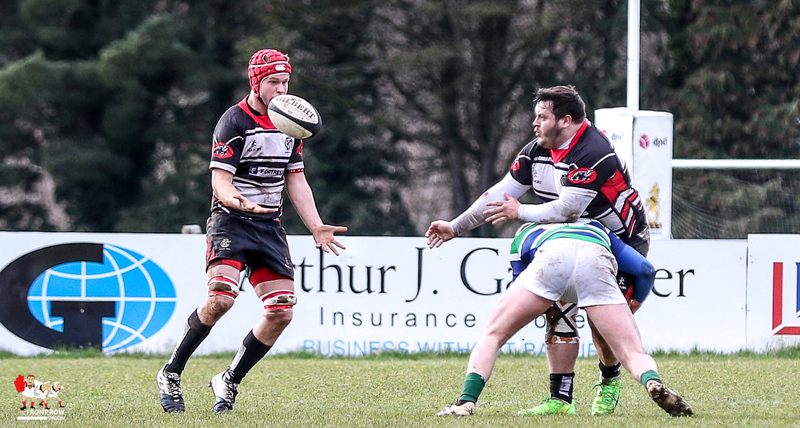 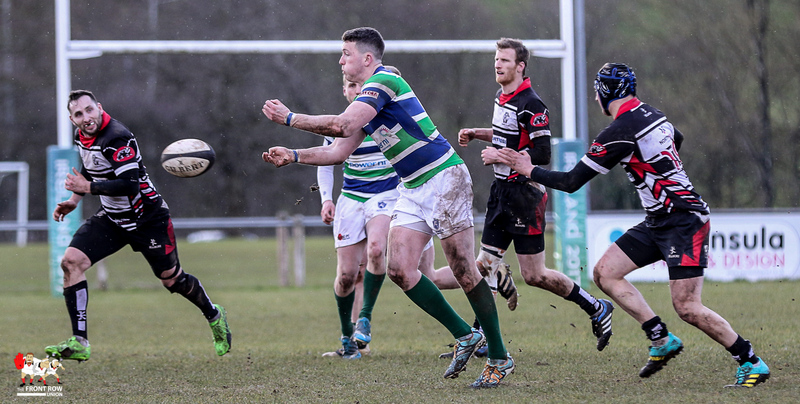 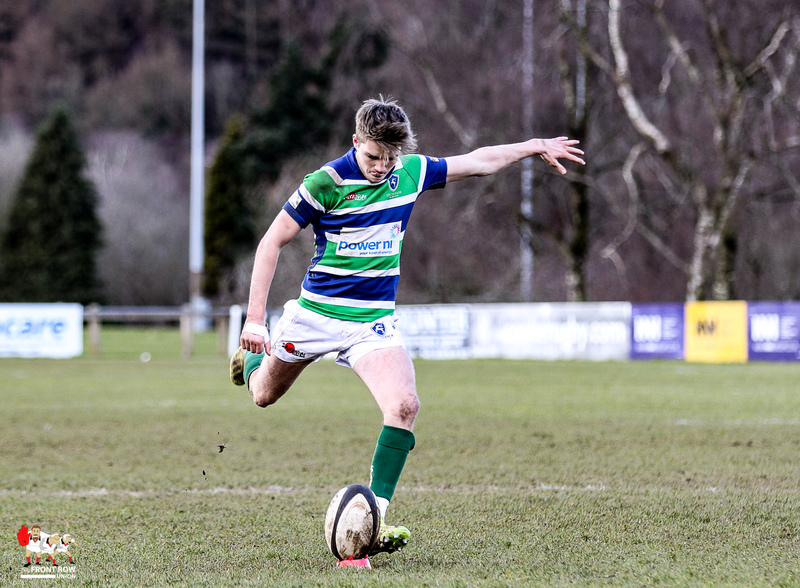 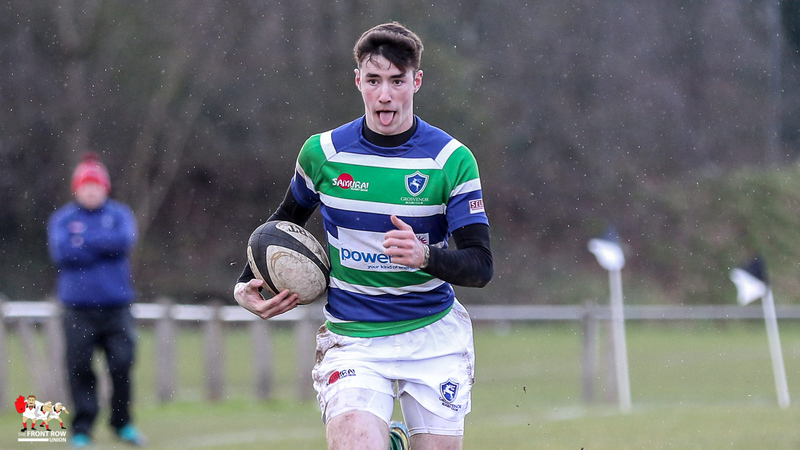 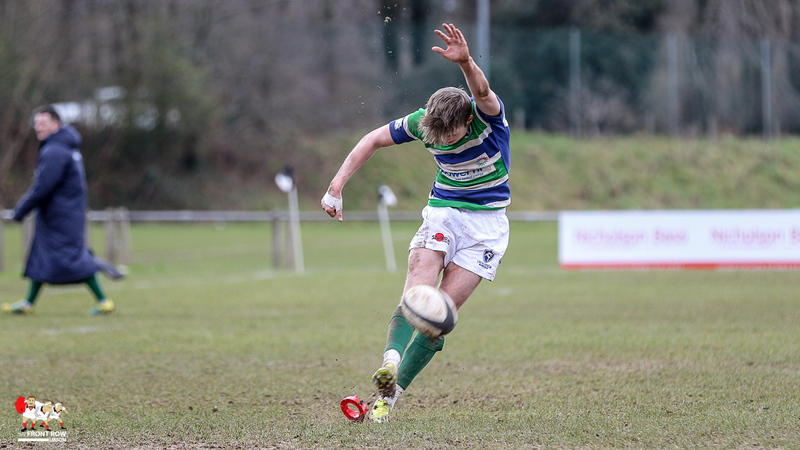 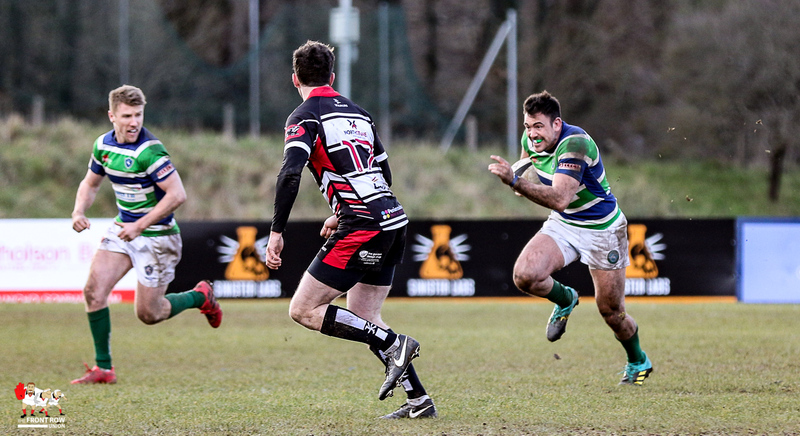 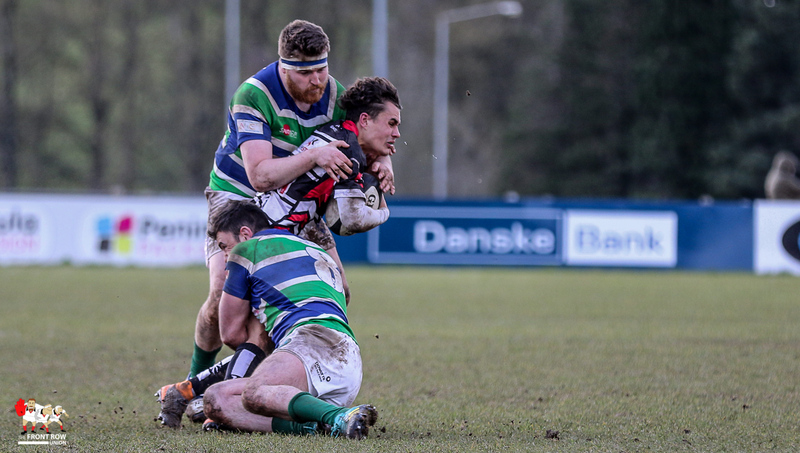 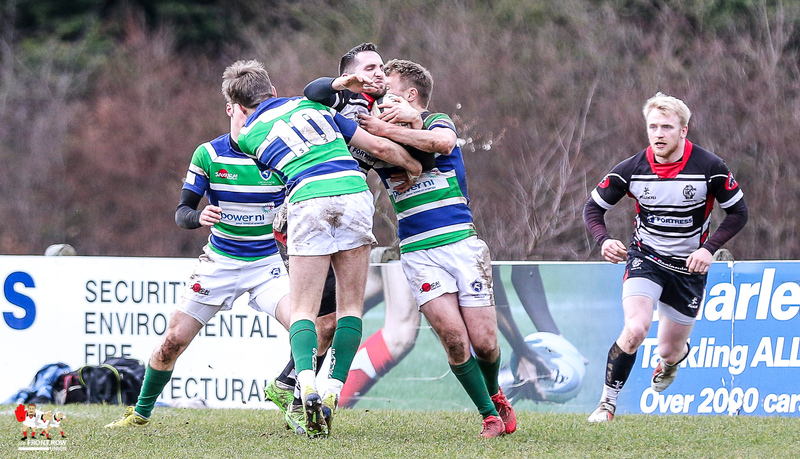 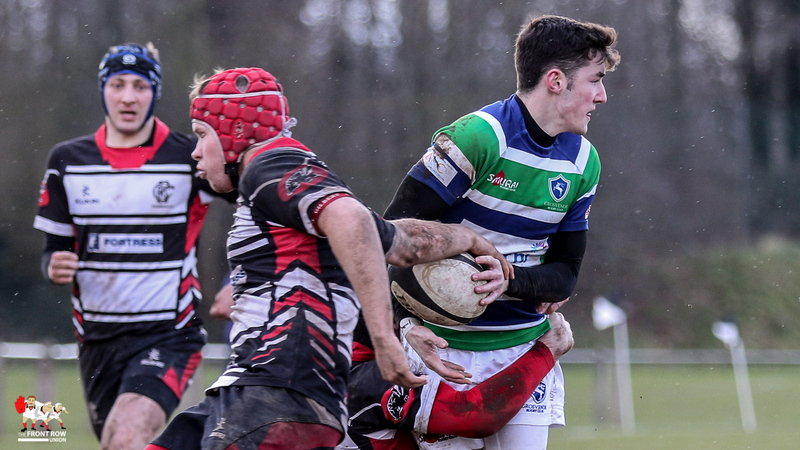 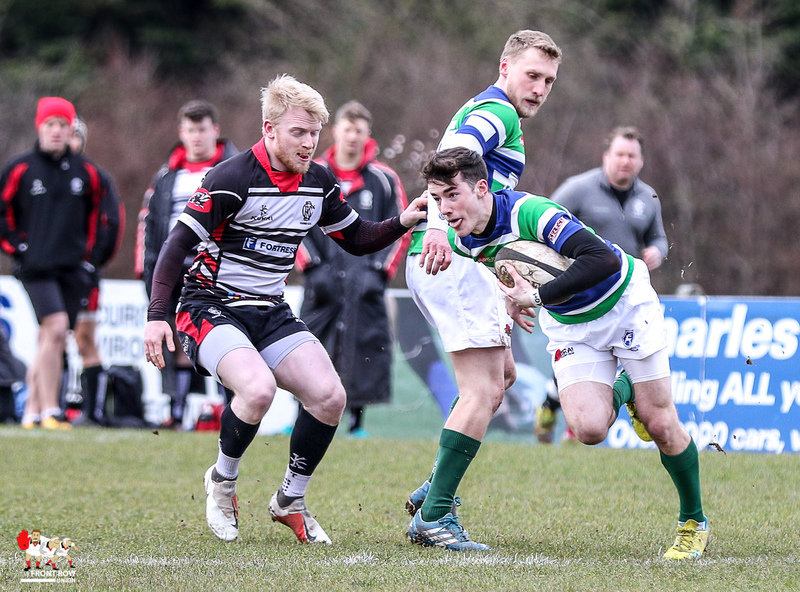 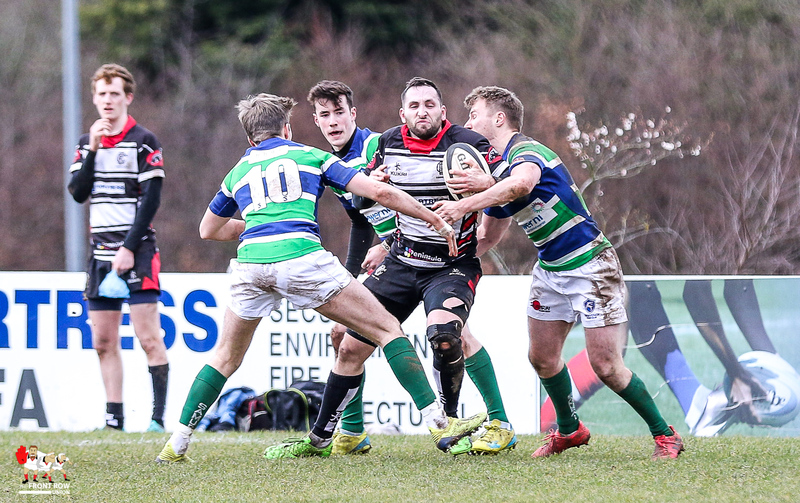 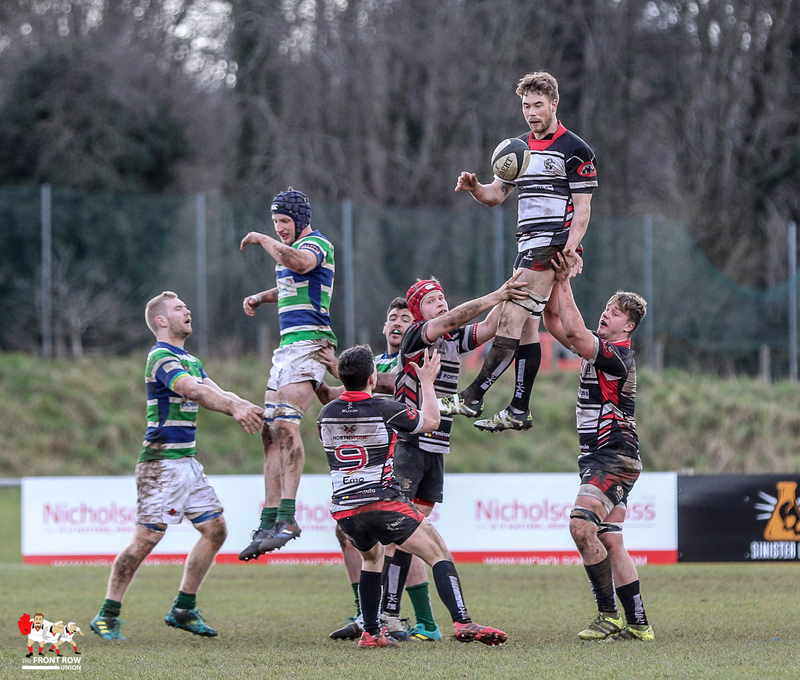 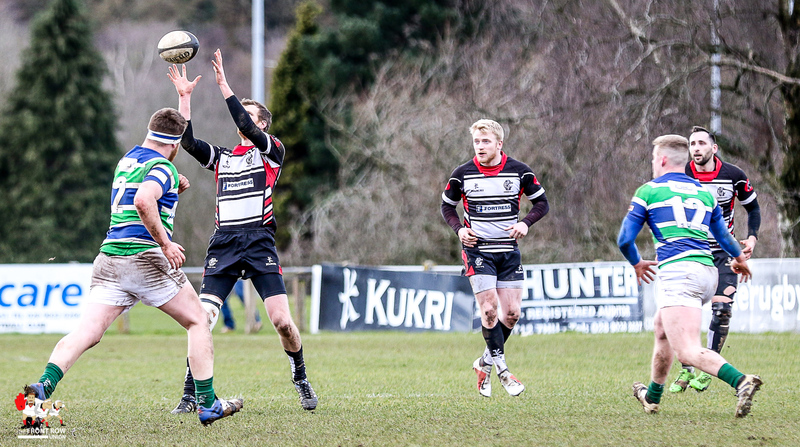 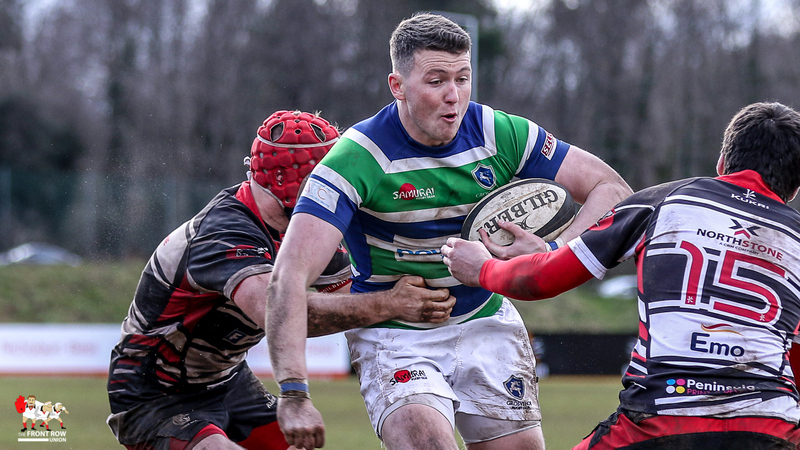 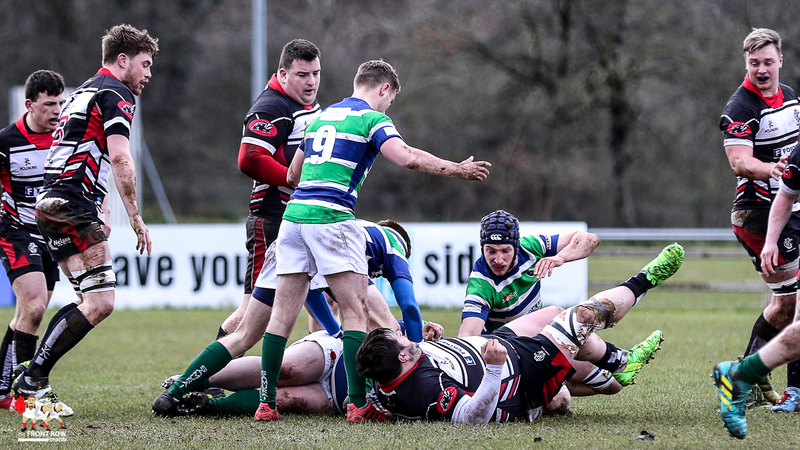 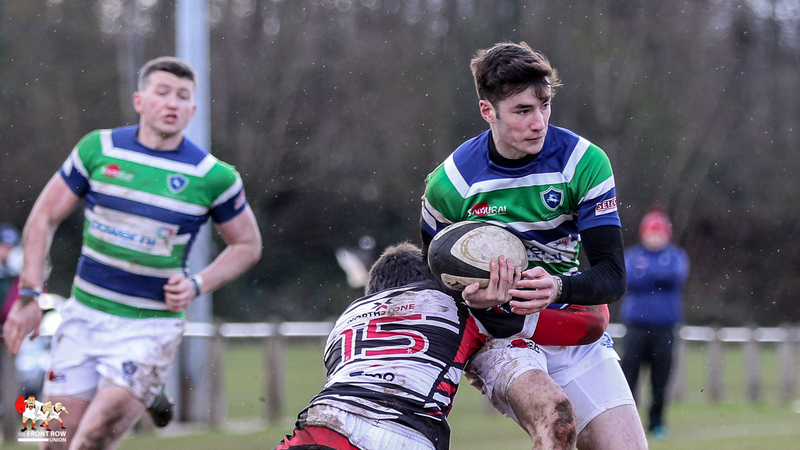 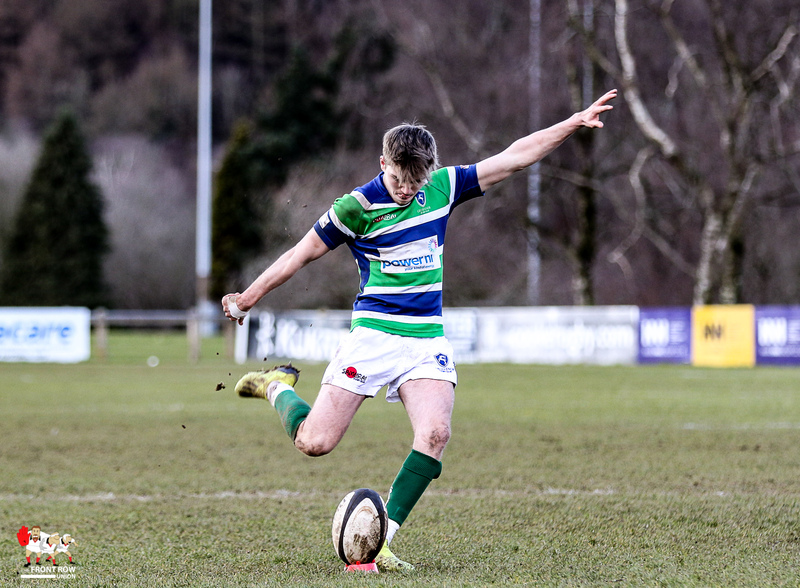 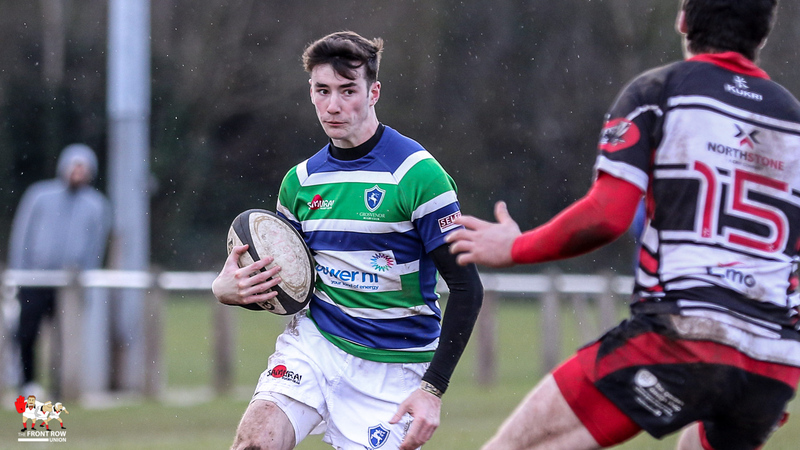 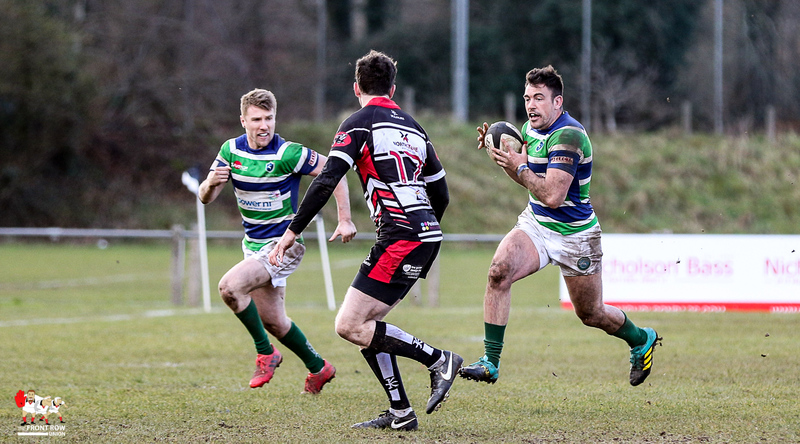 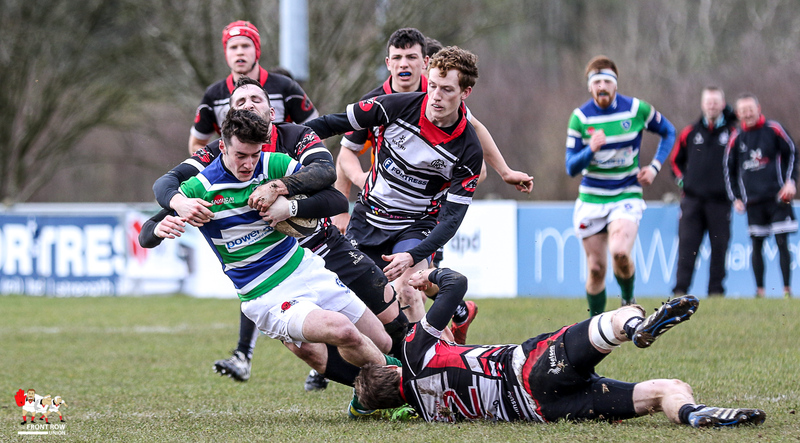 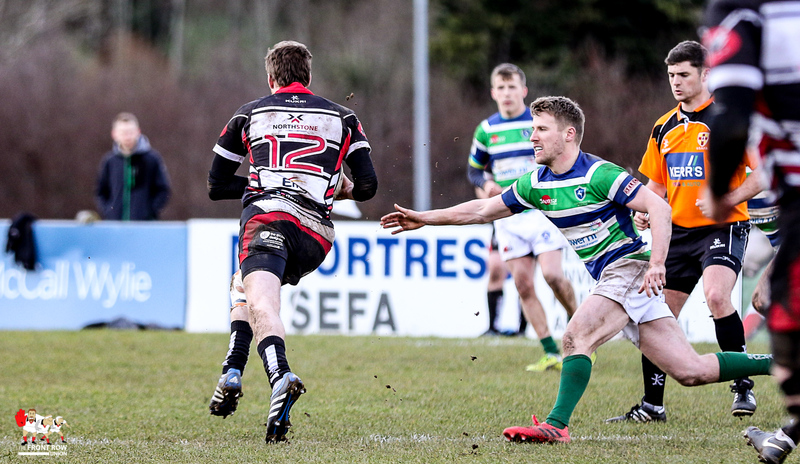 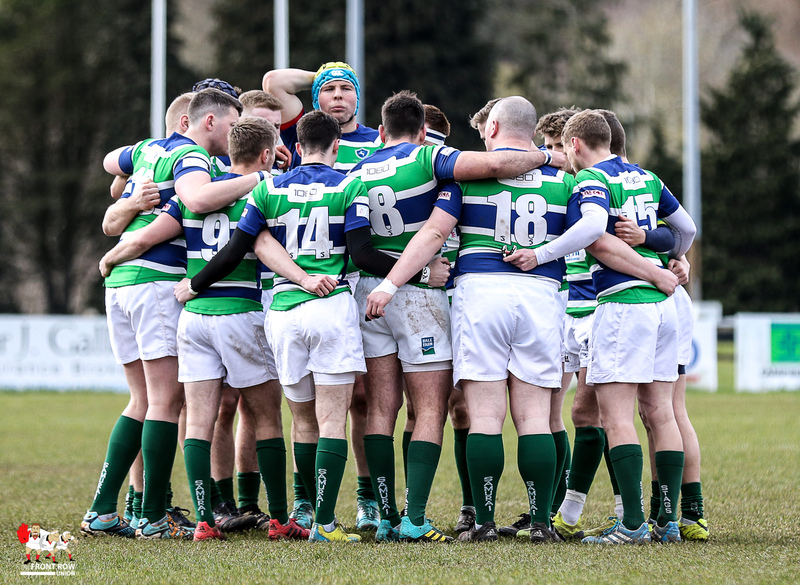 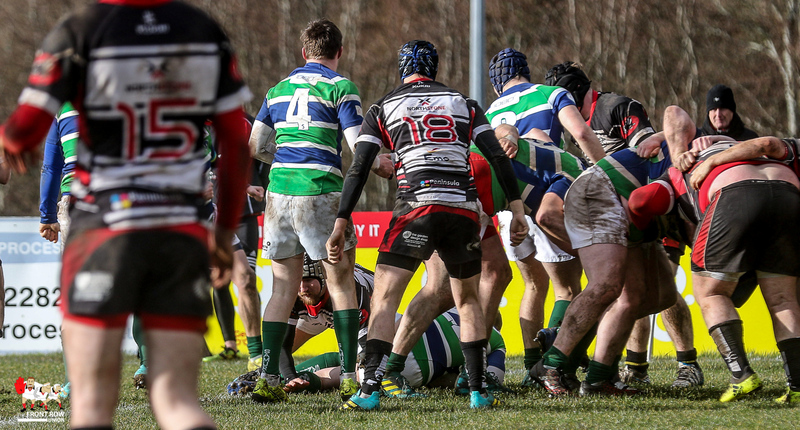 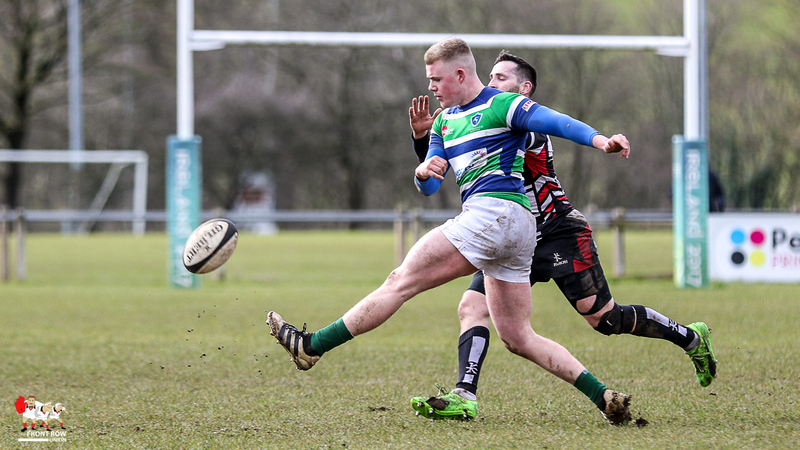 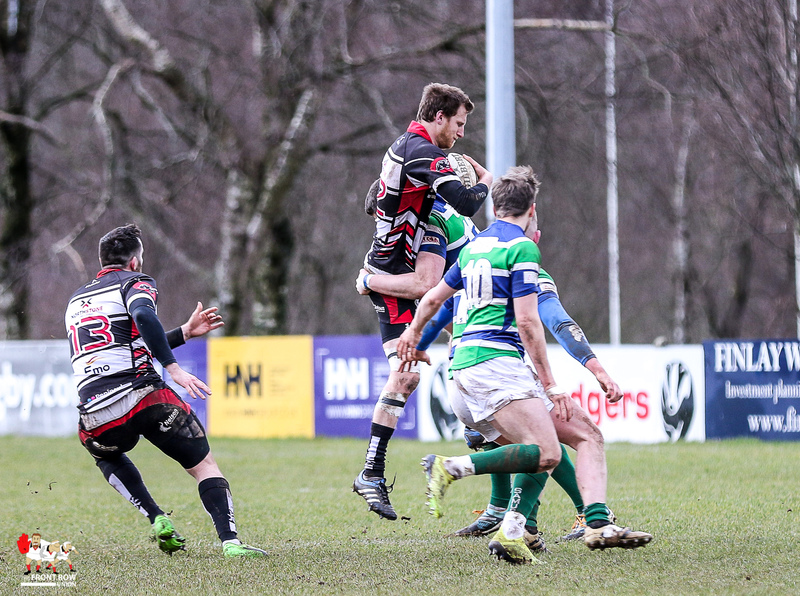 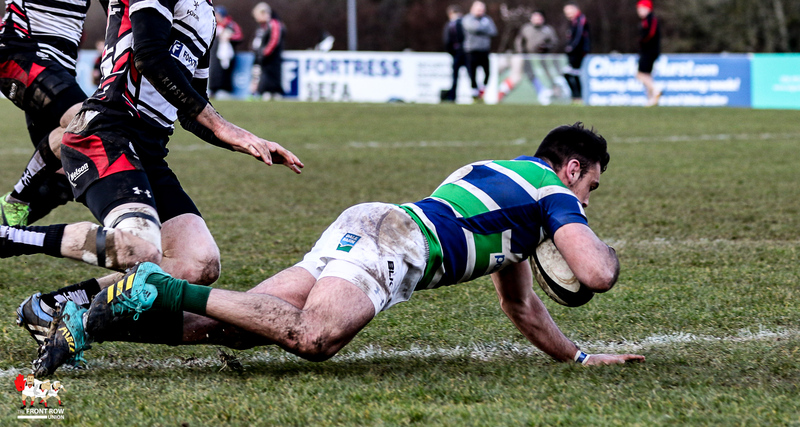 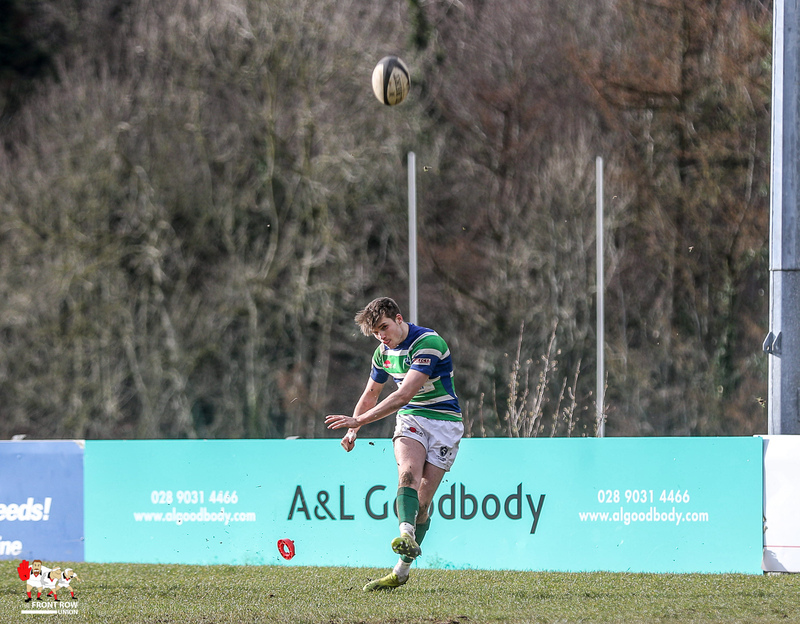 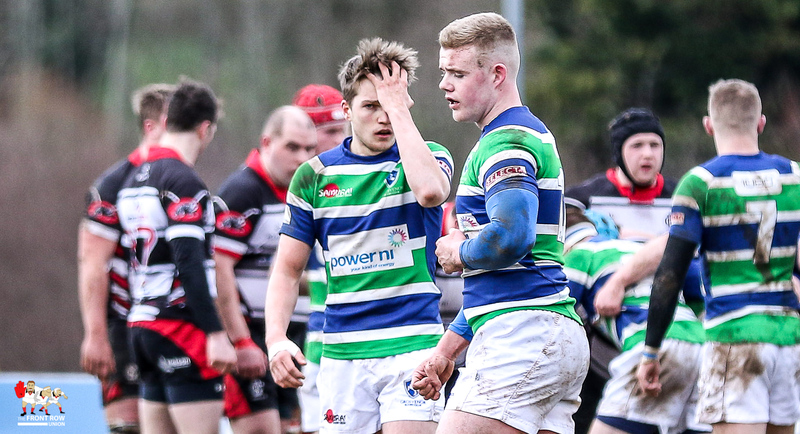 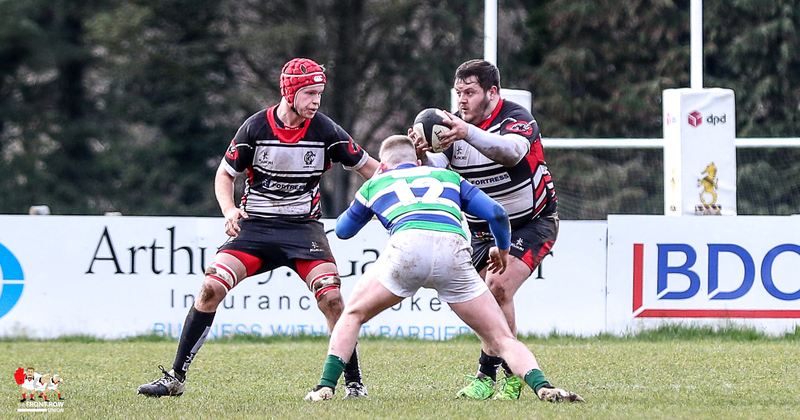 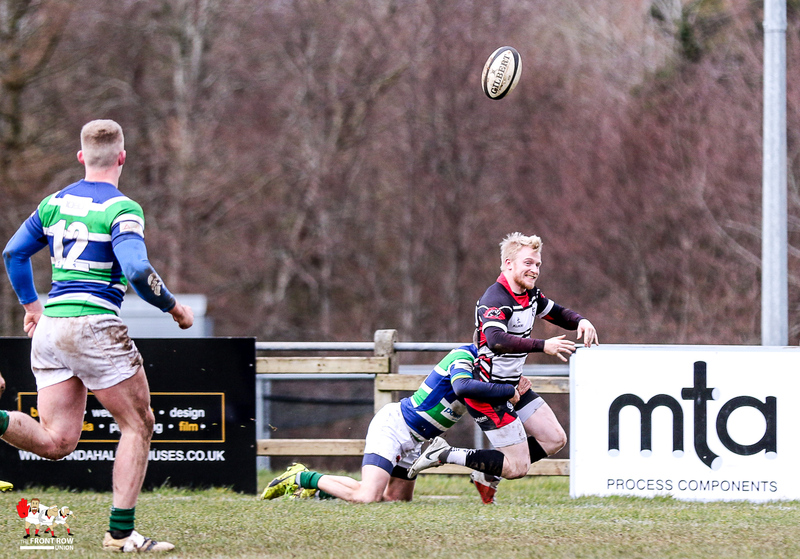 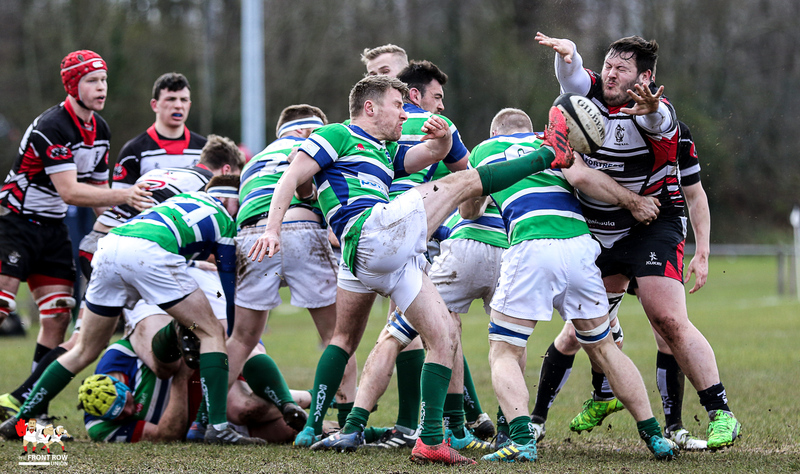 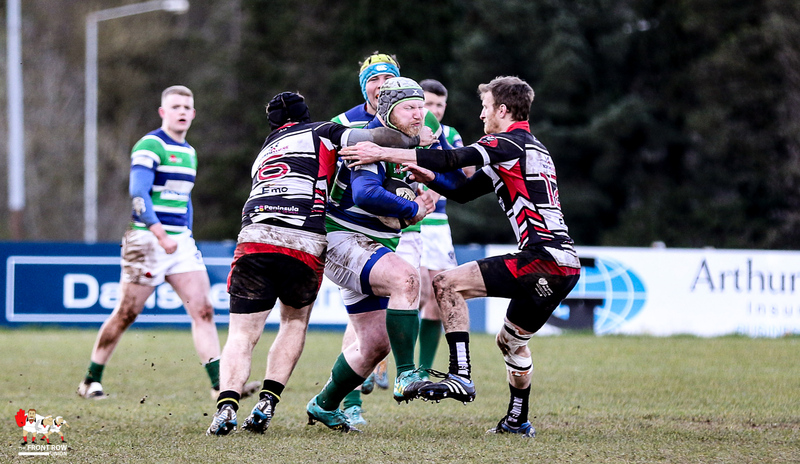 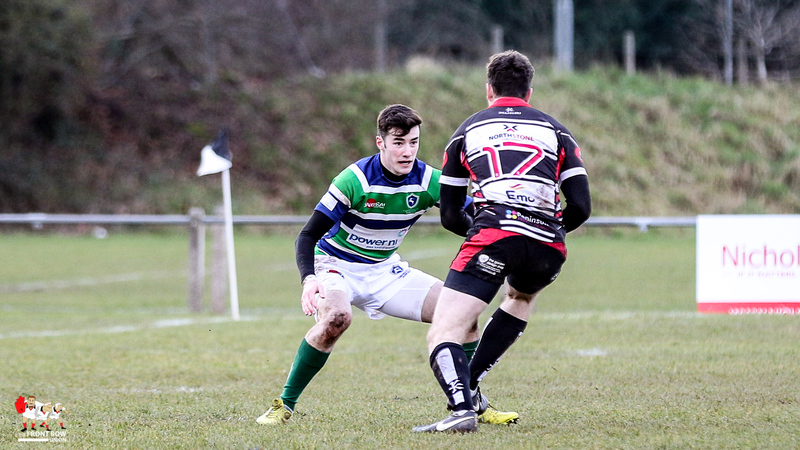 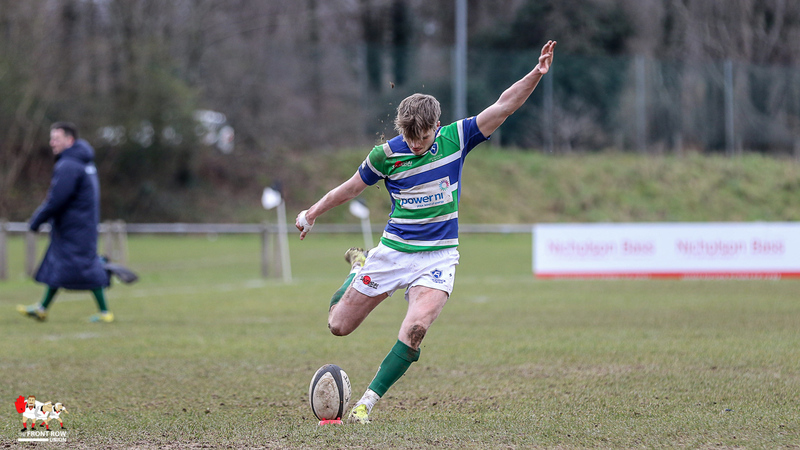 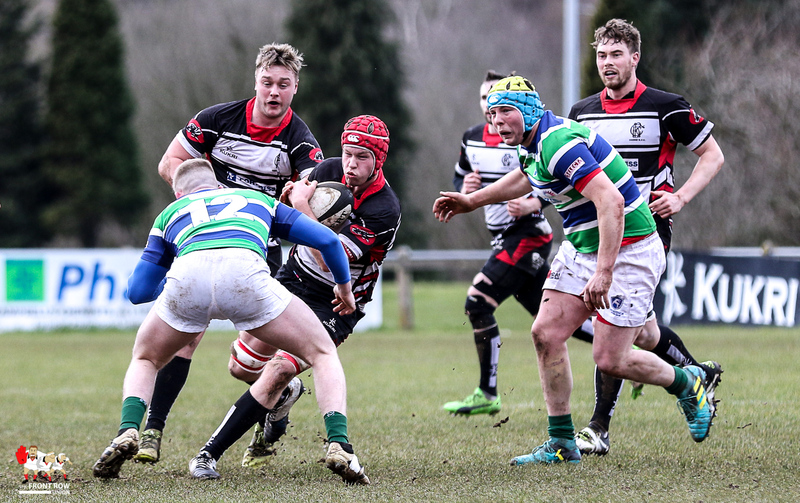 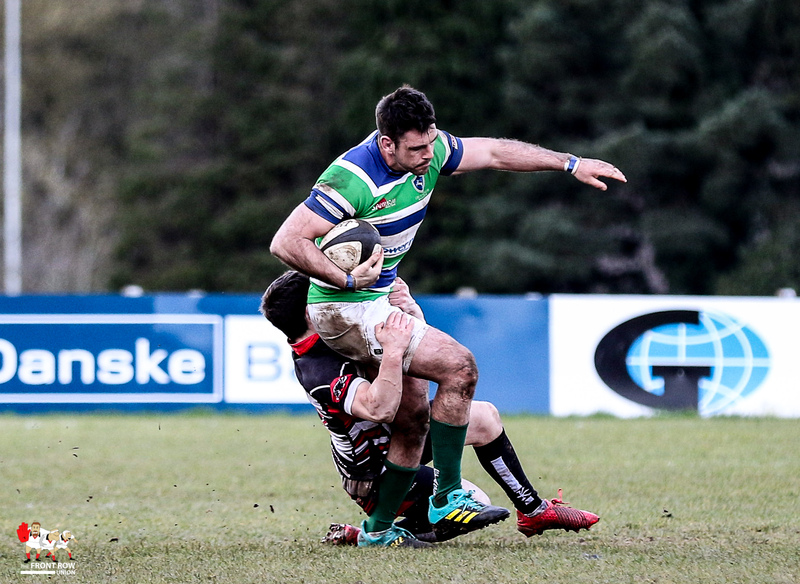 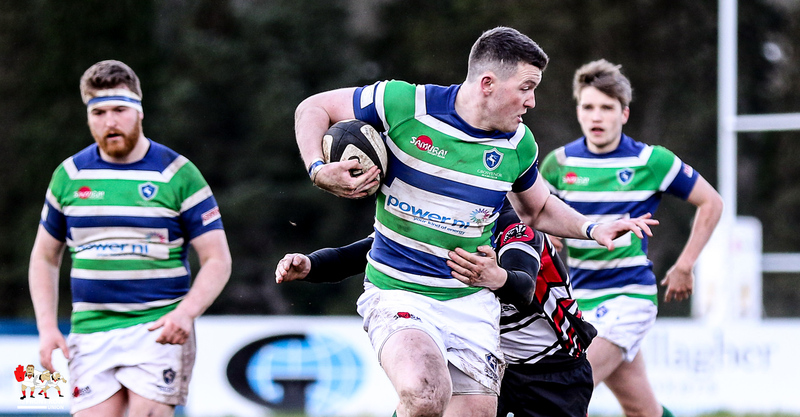 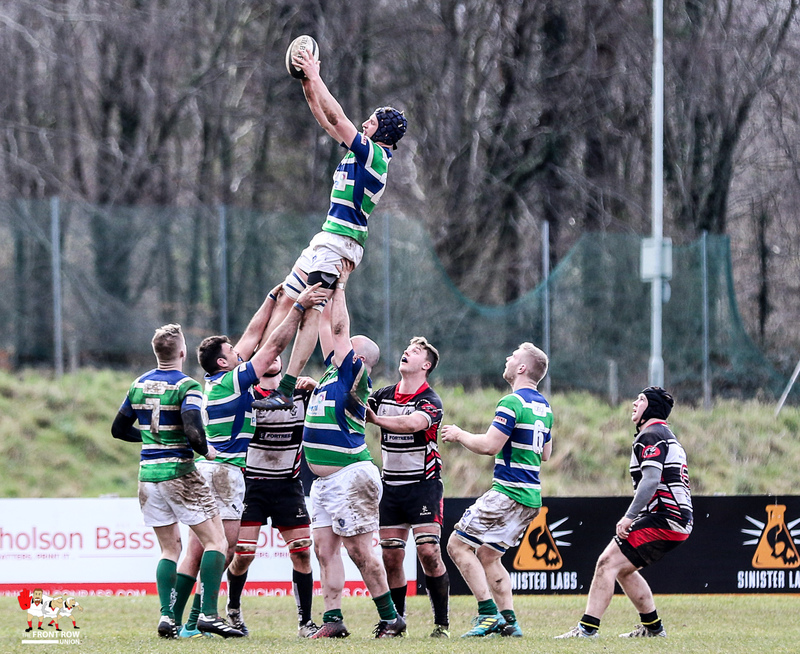 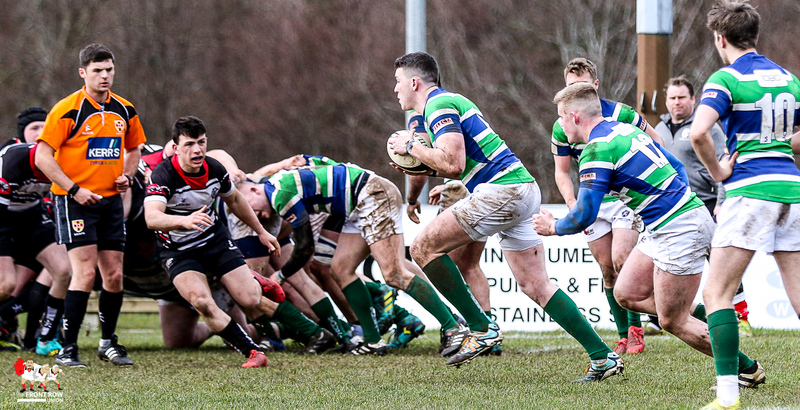 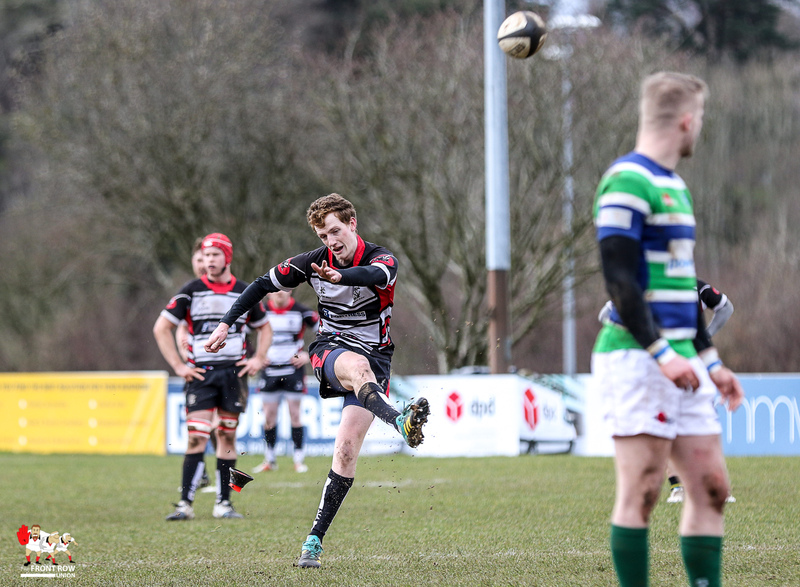 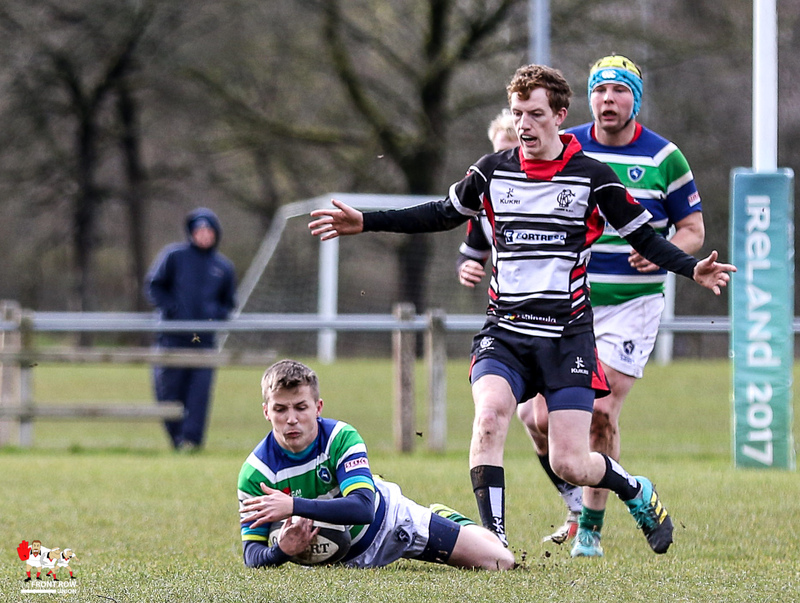 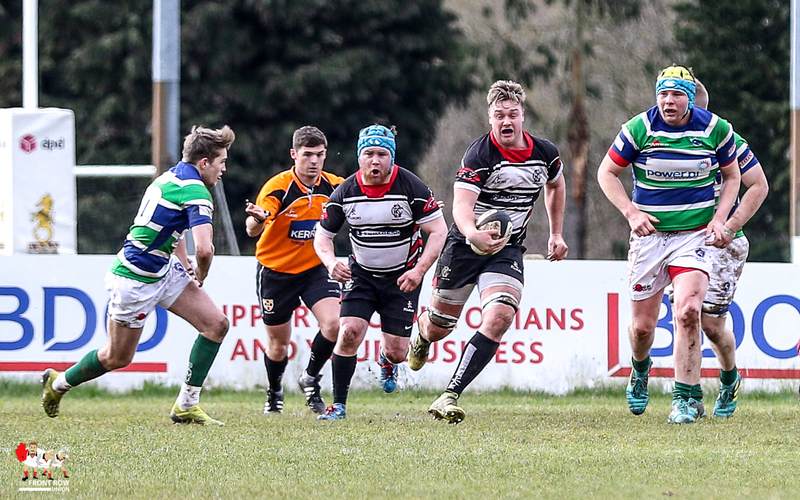 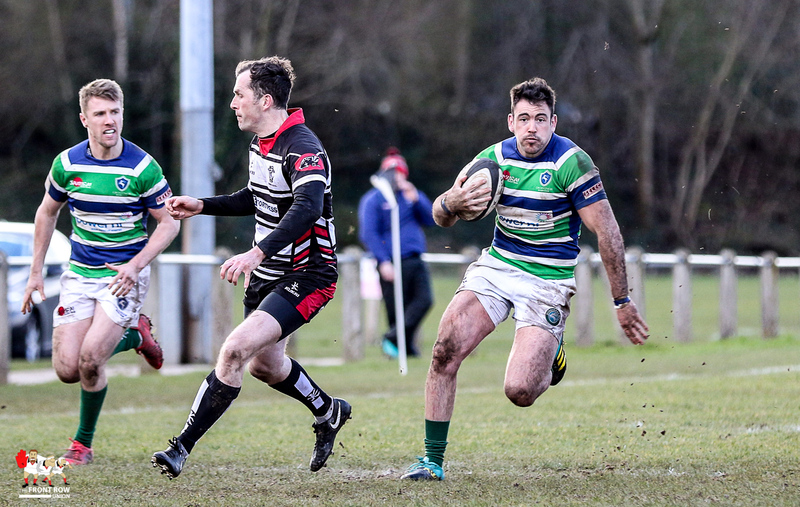 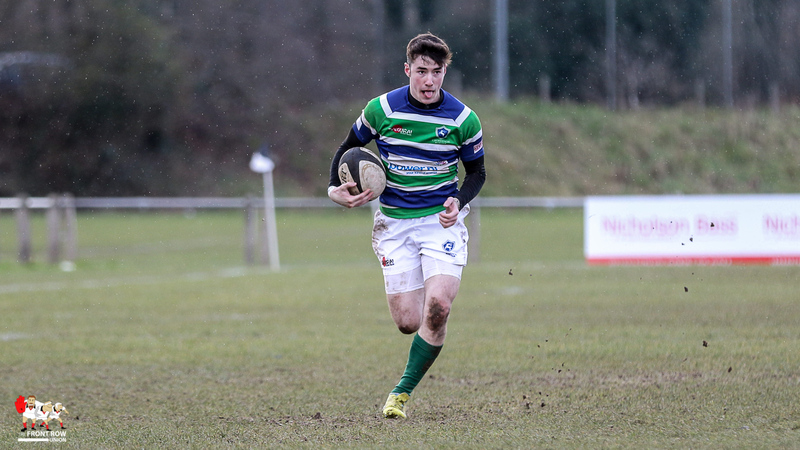 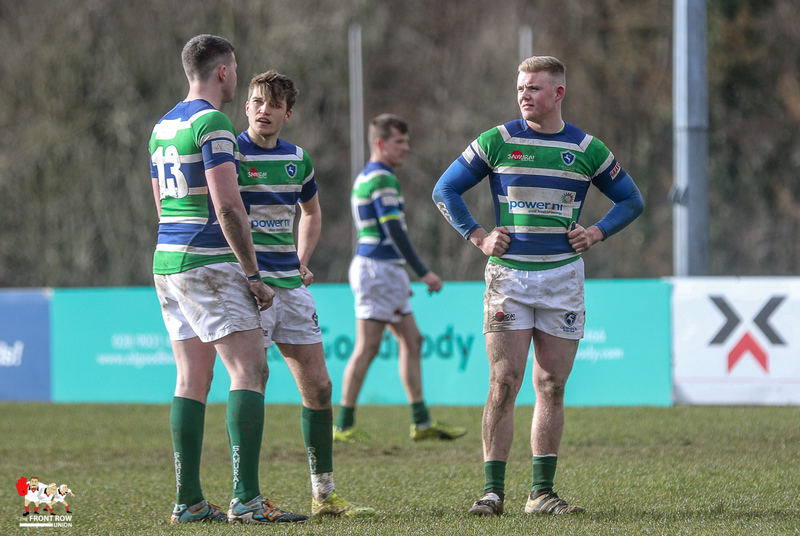 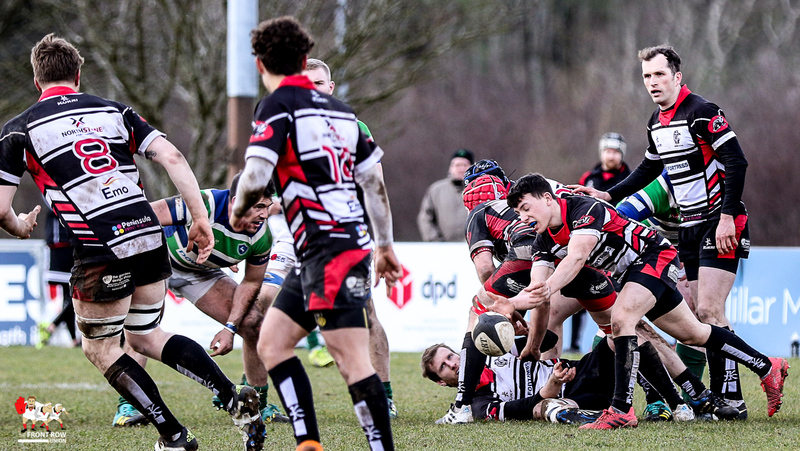 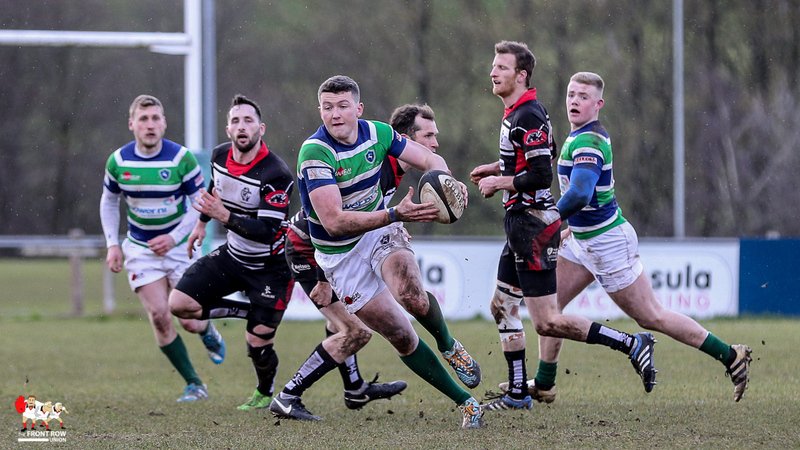 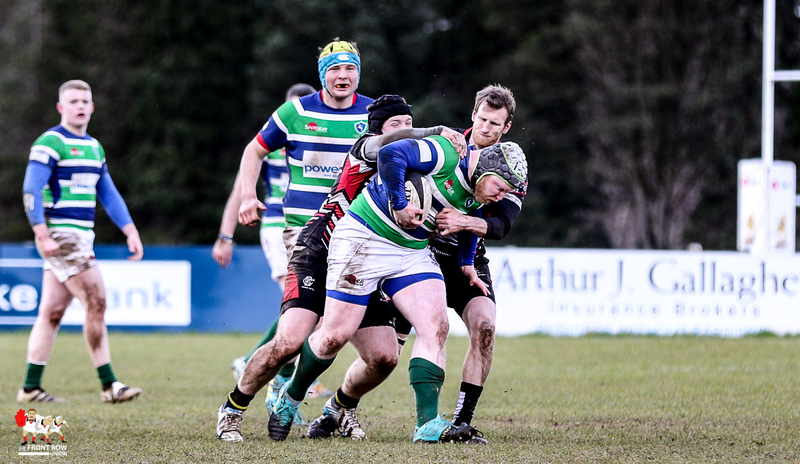 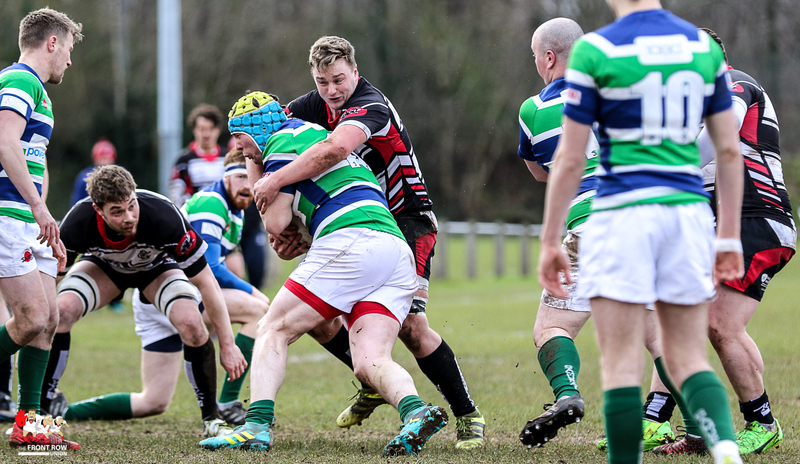 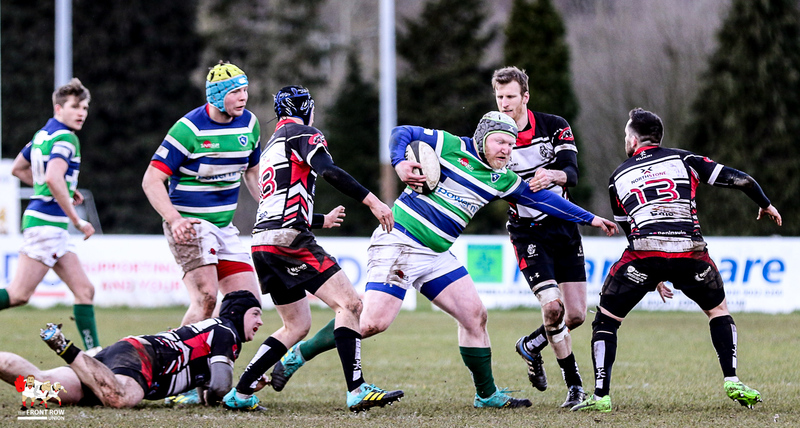 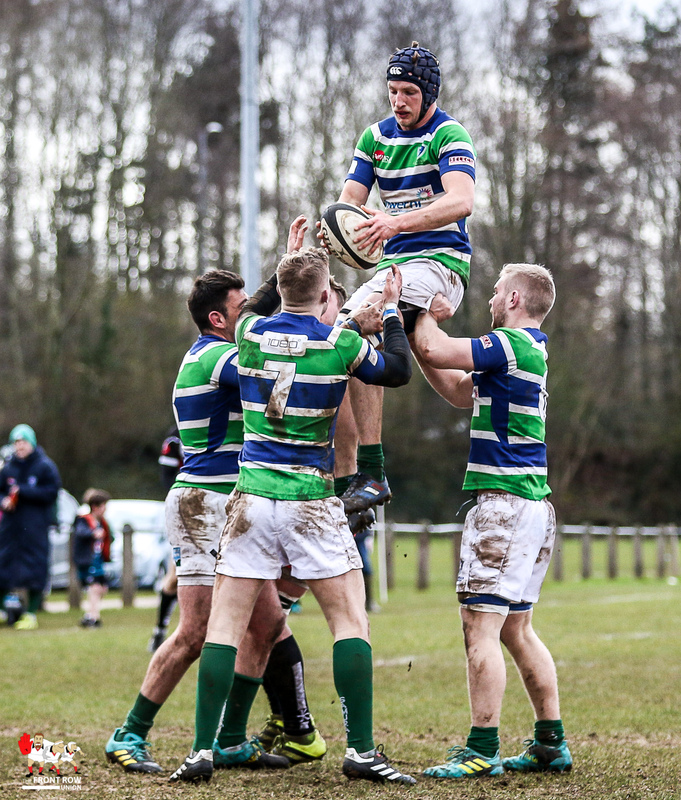 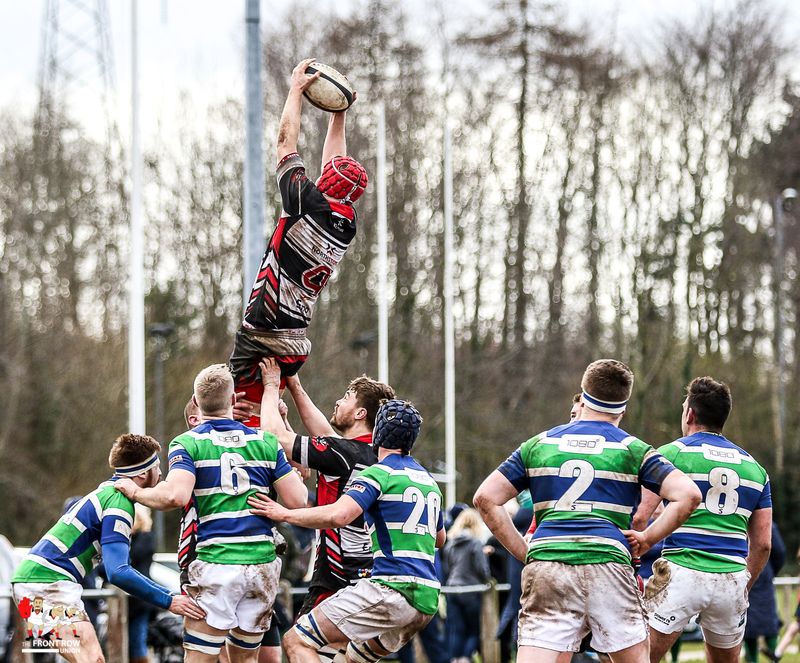 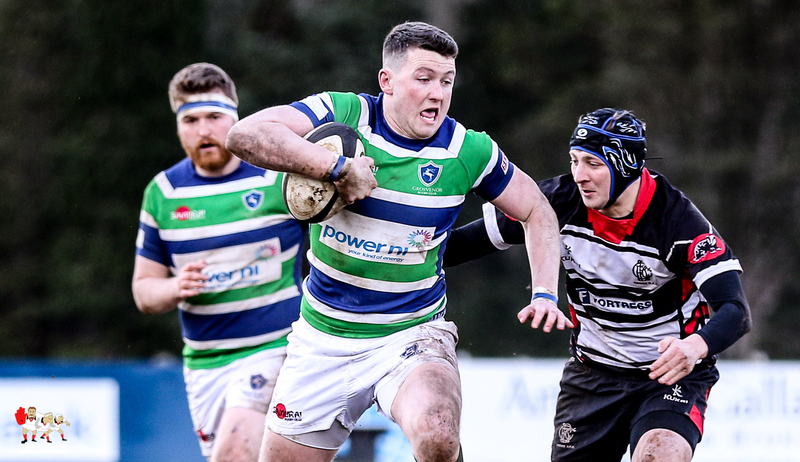 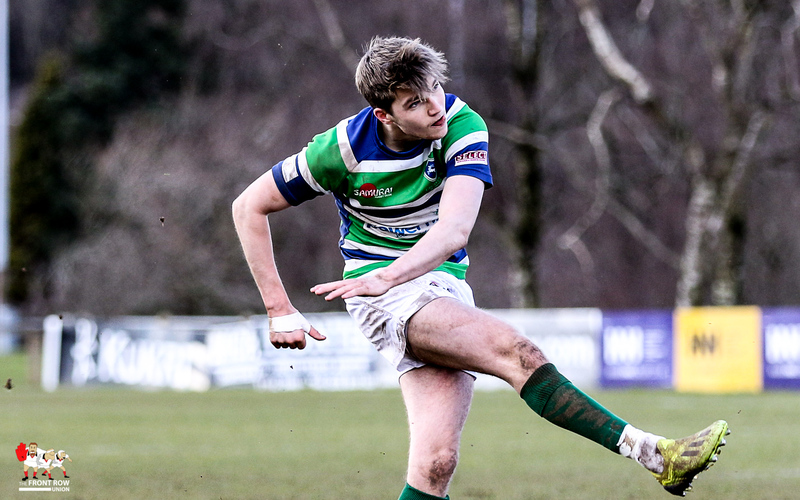 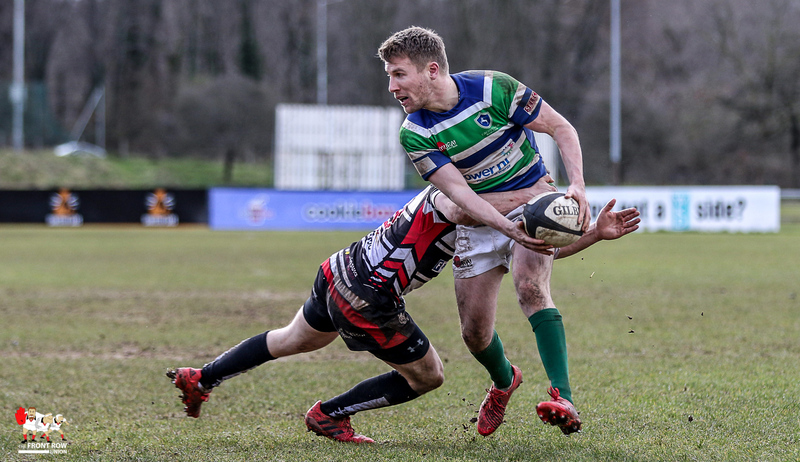 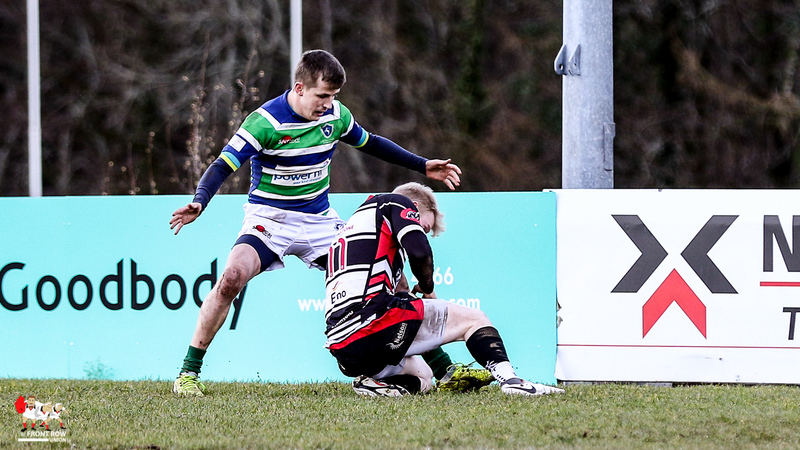 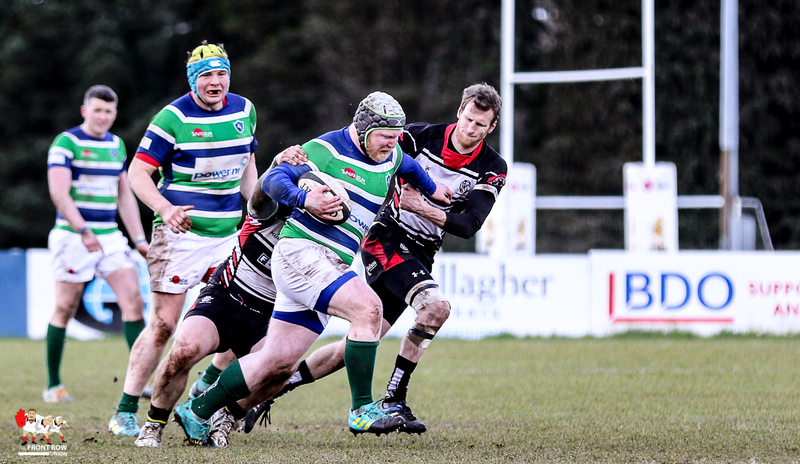 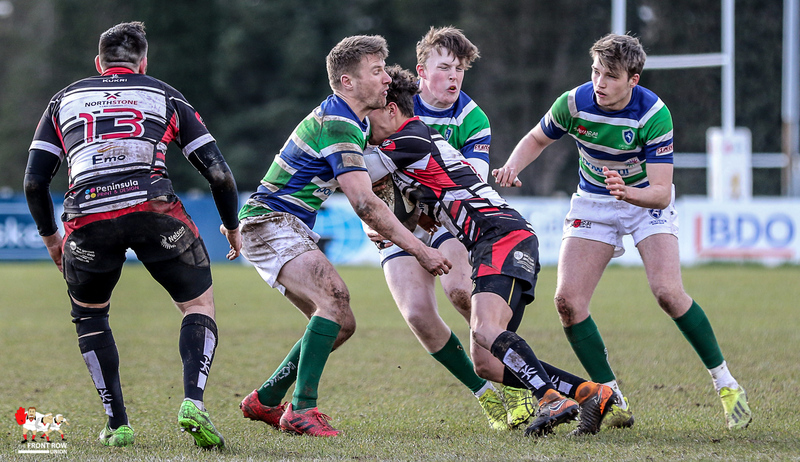 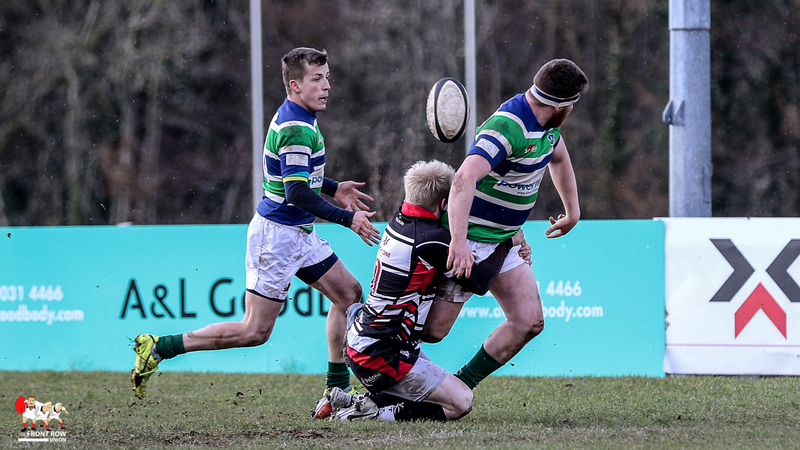 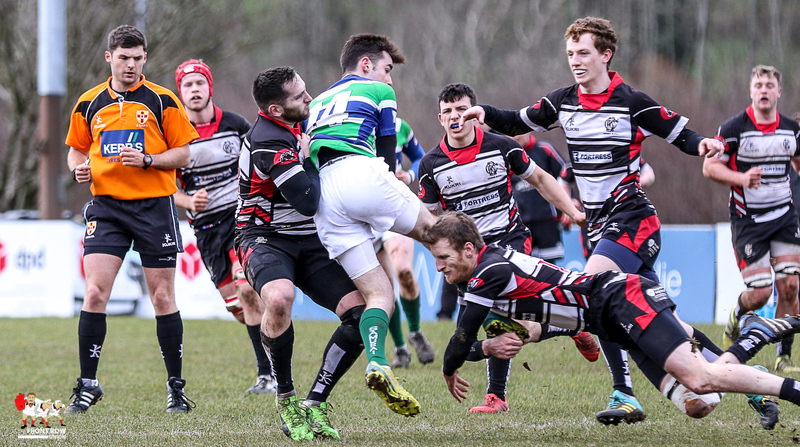 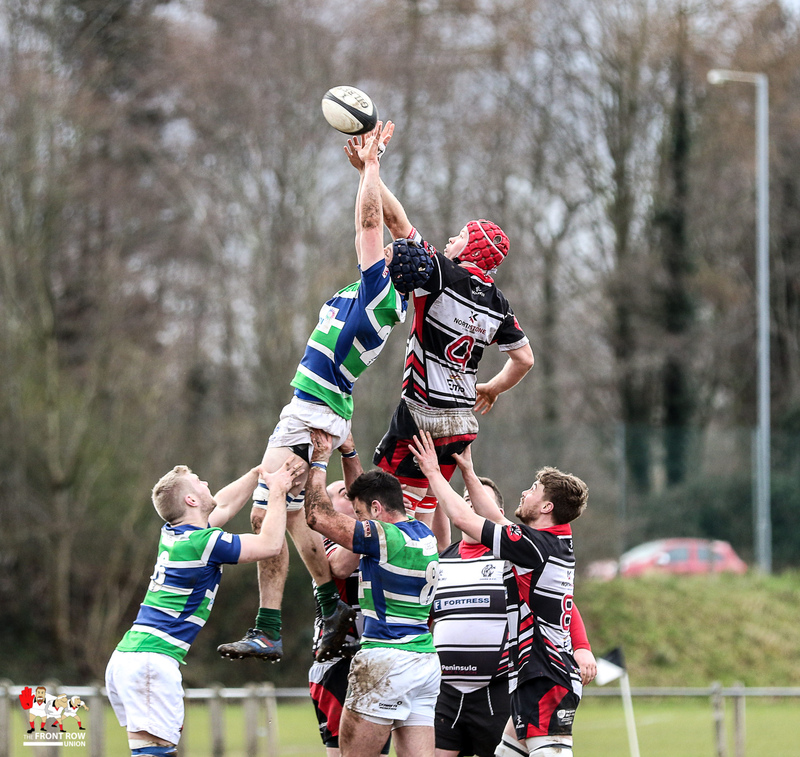 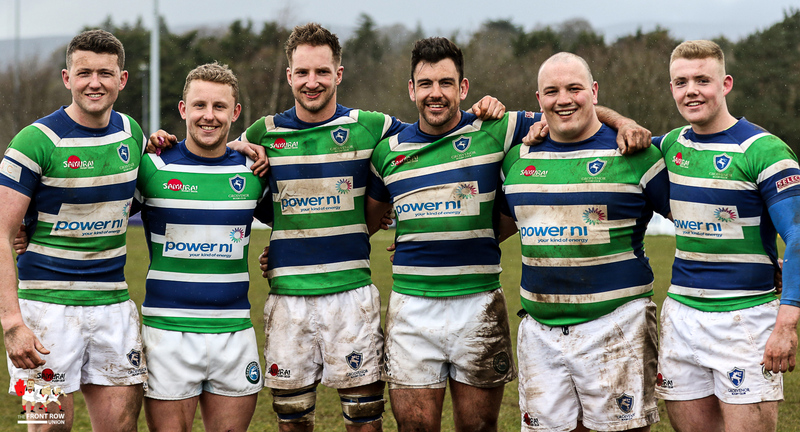 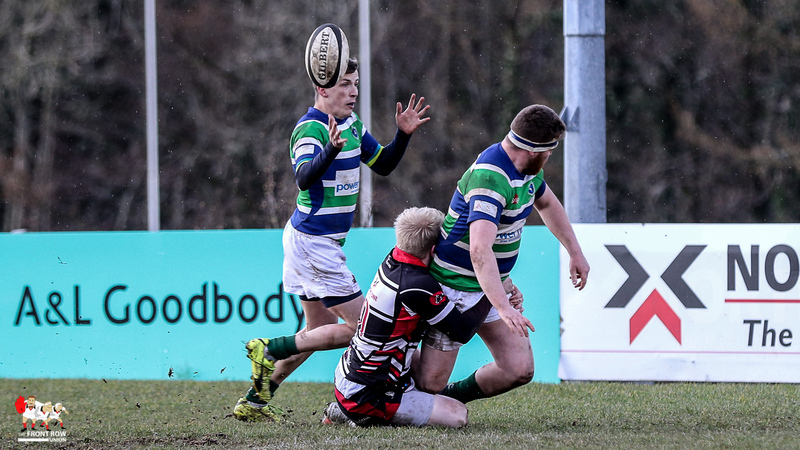 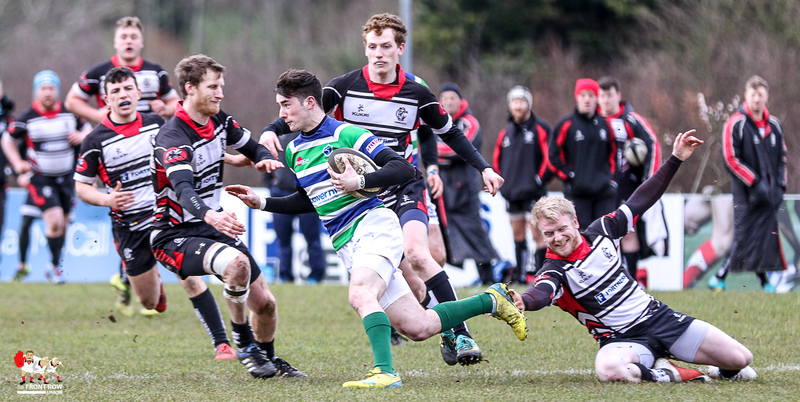 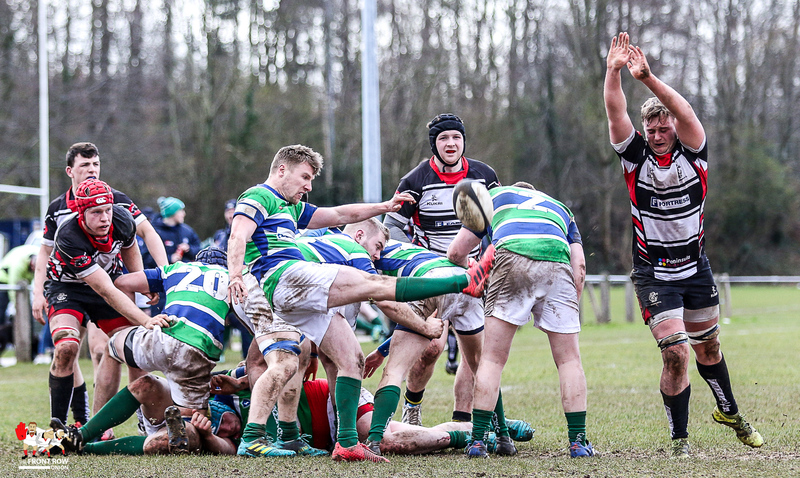 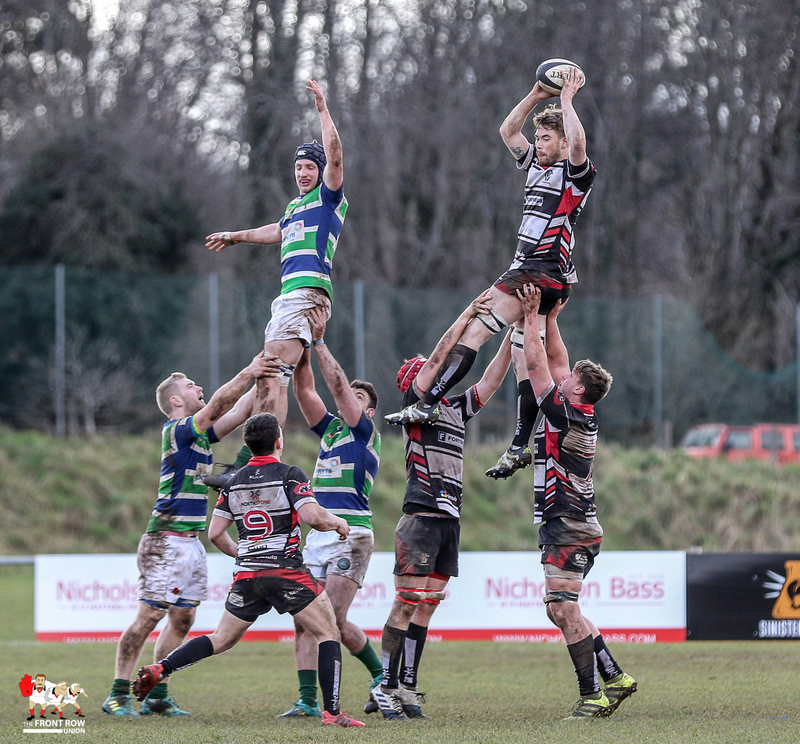 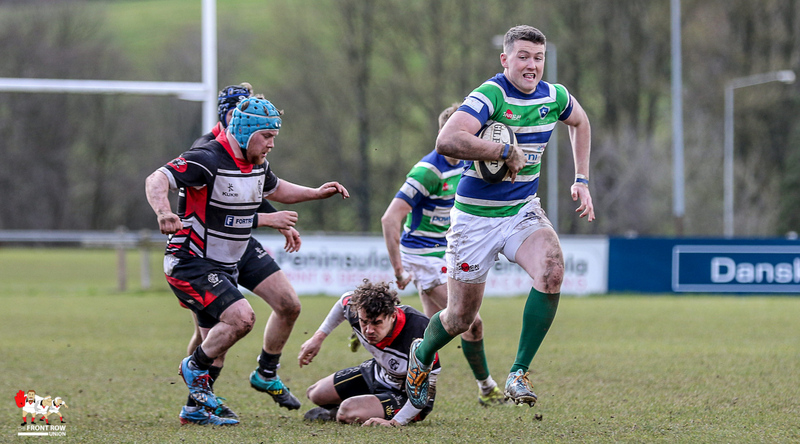 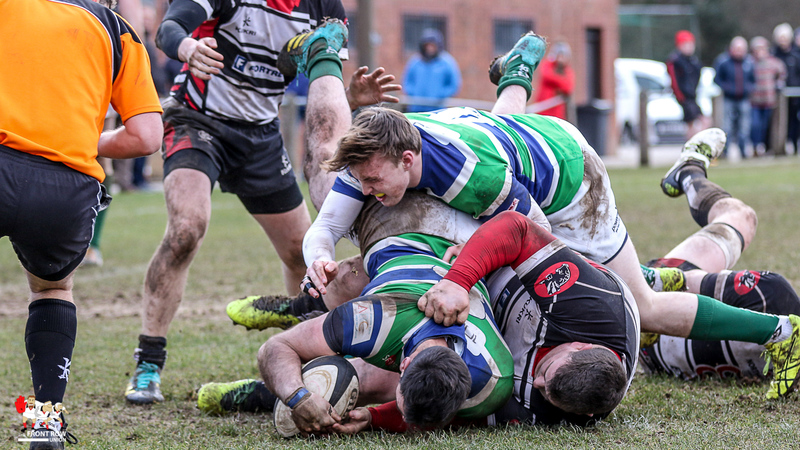 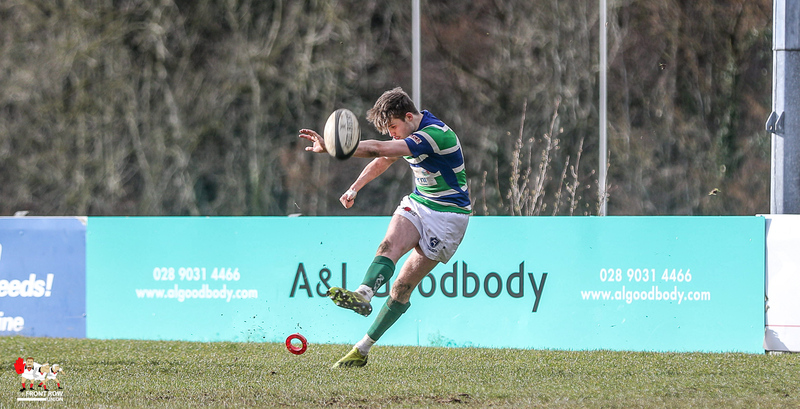 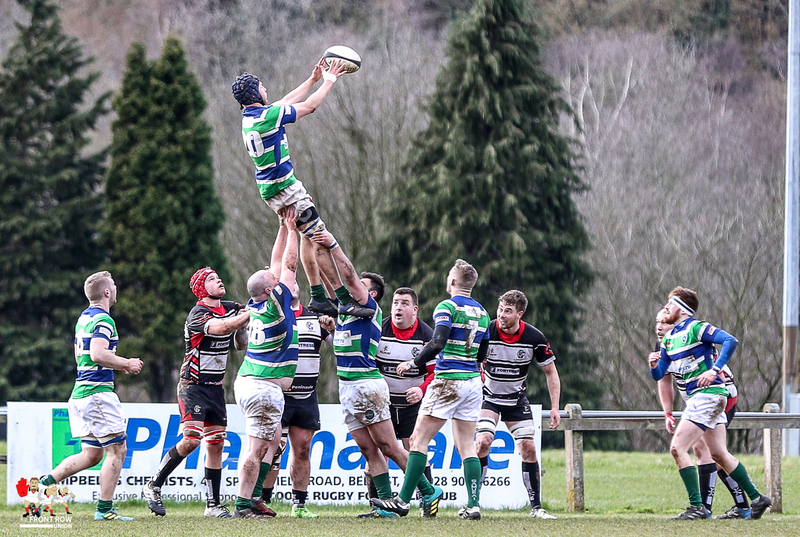 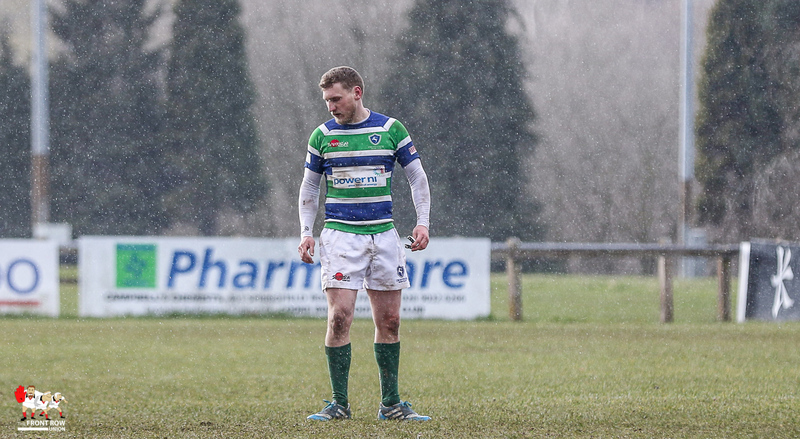 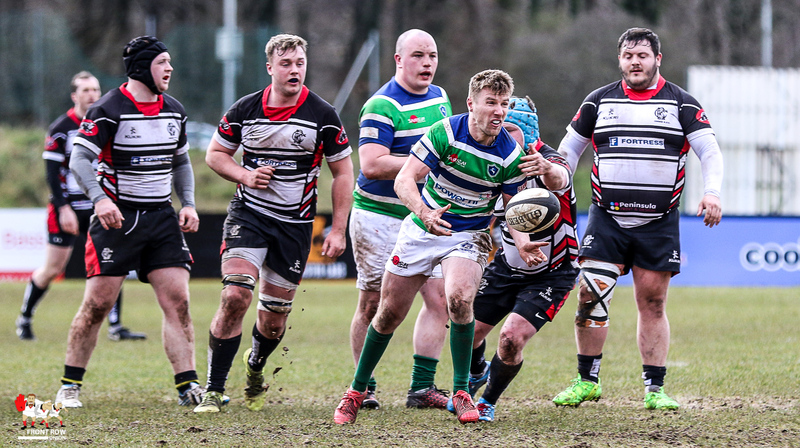 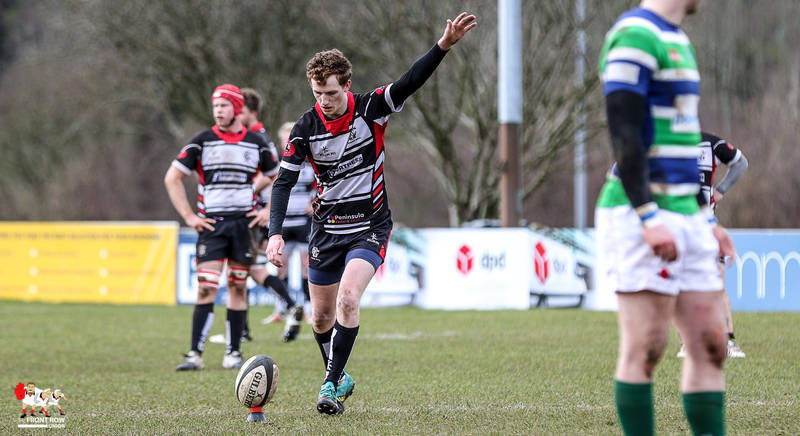 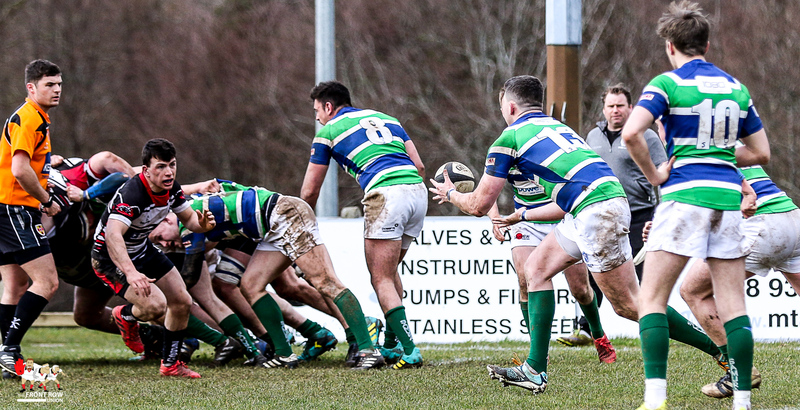 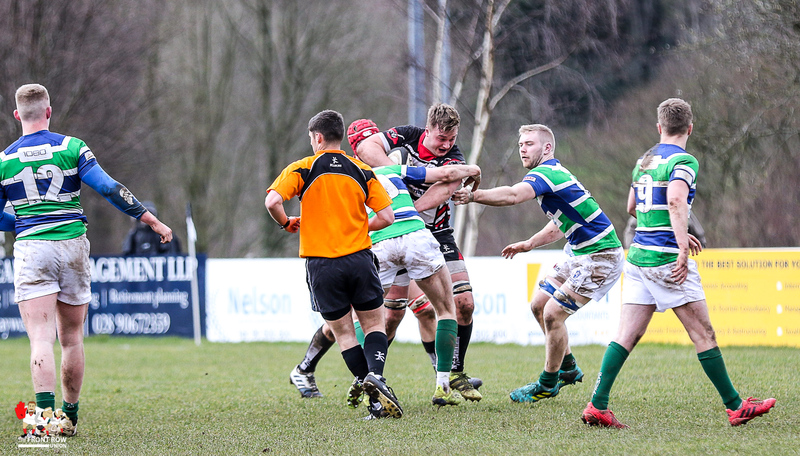 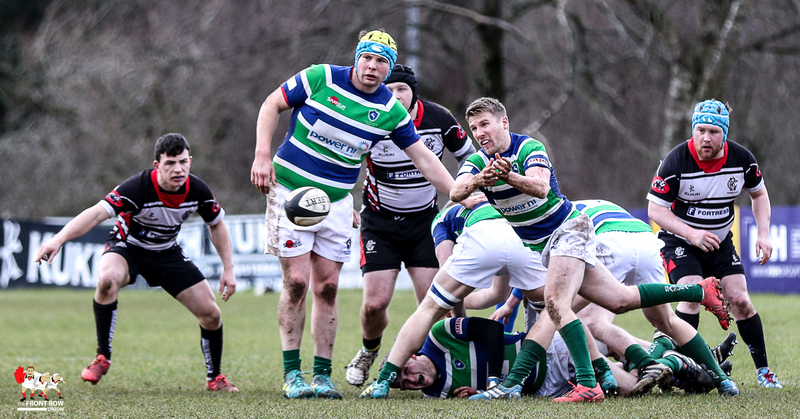 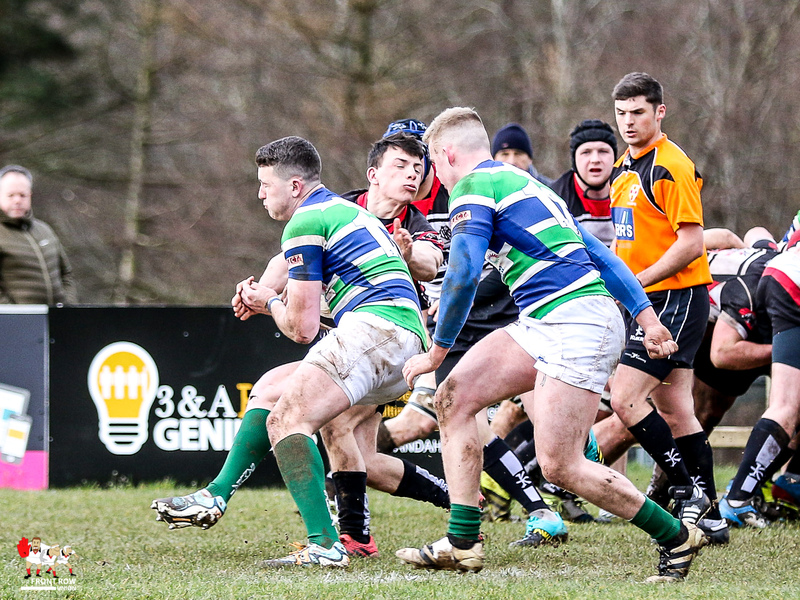 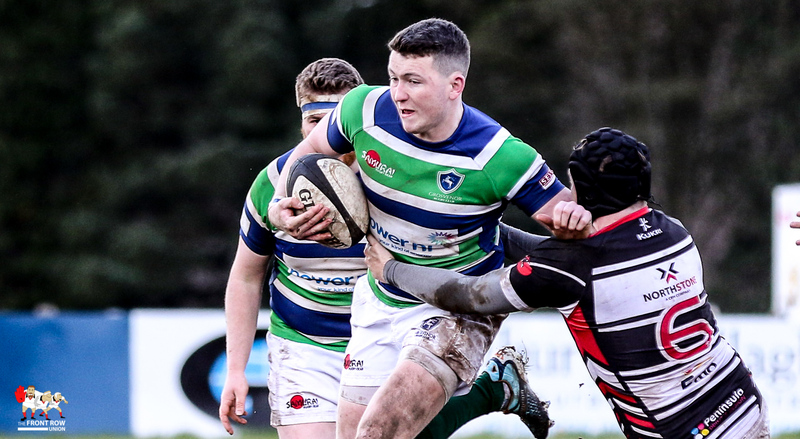 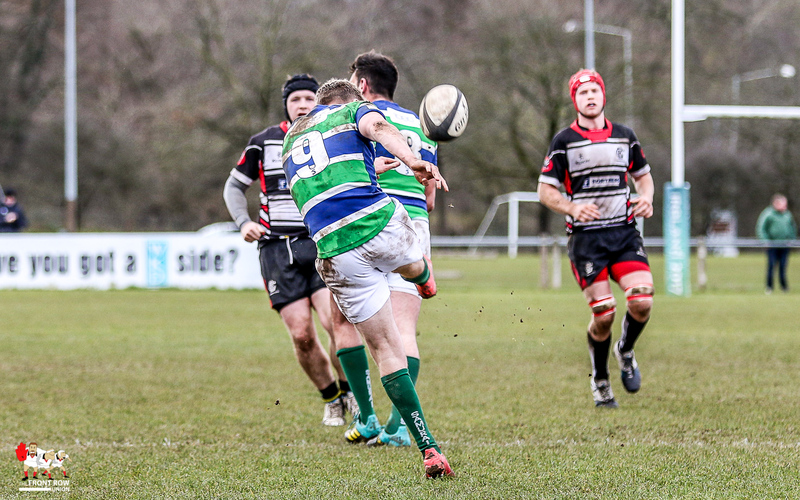 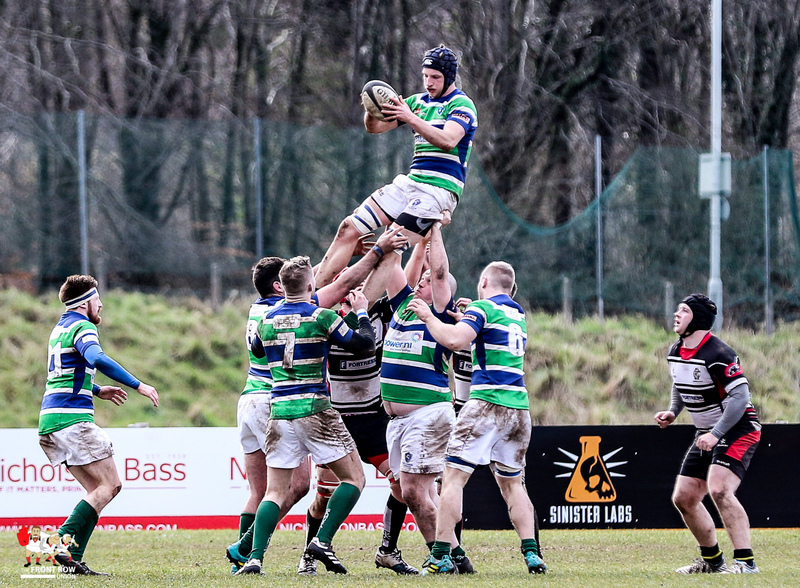 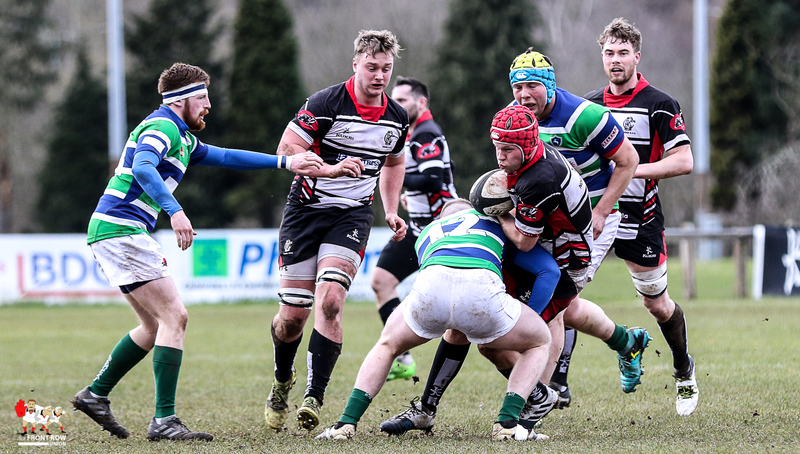 Grosvenor progressed to the final of the McCrea Cup after a 20 – 39 win in the semi final against Cooke RFC at Shawsbridge on Saturday afternoon. 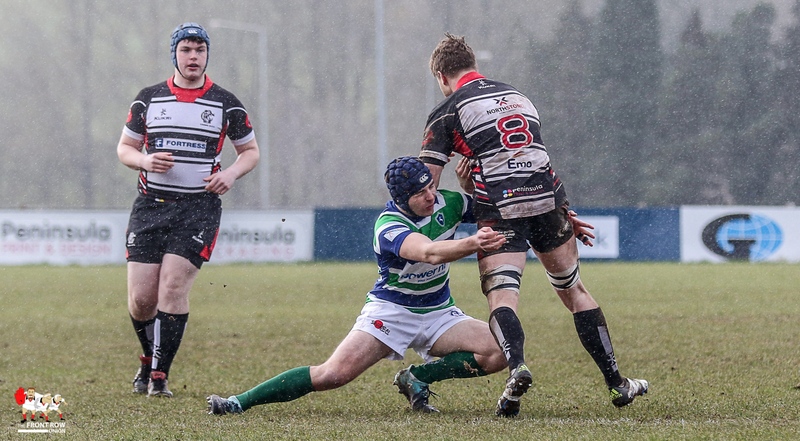 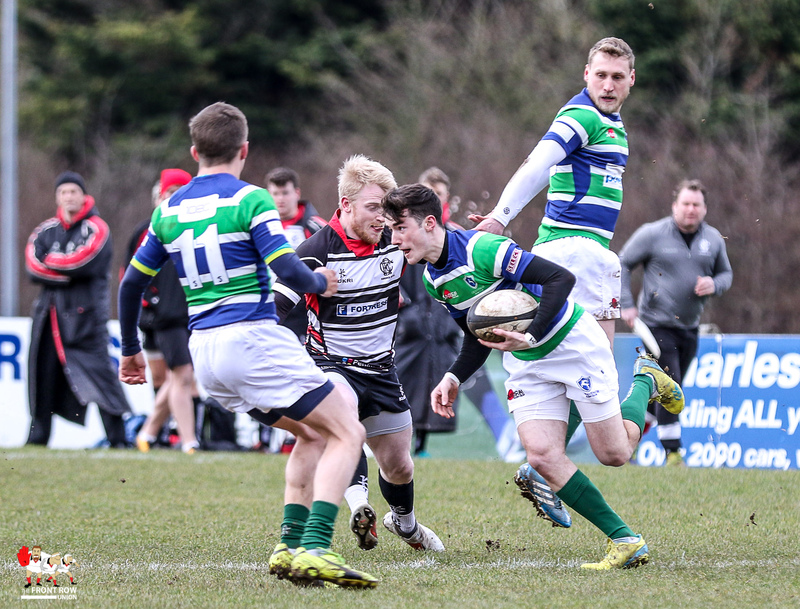 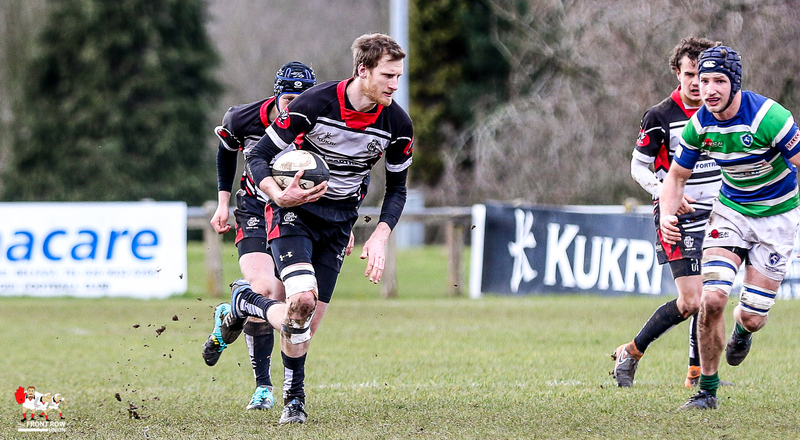 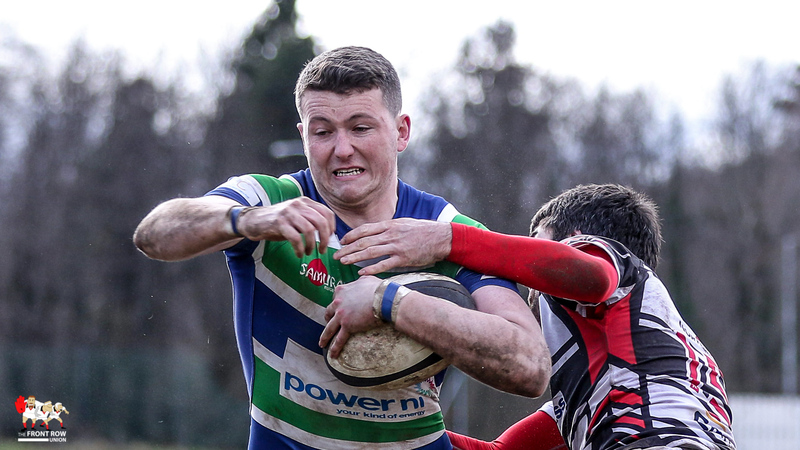 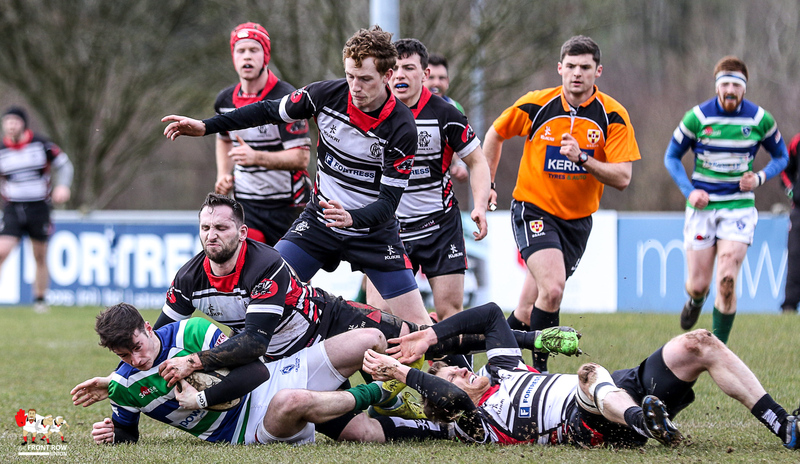 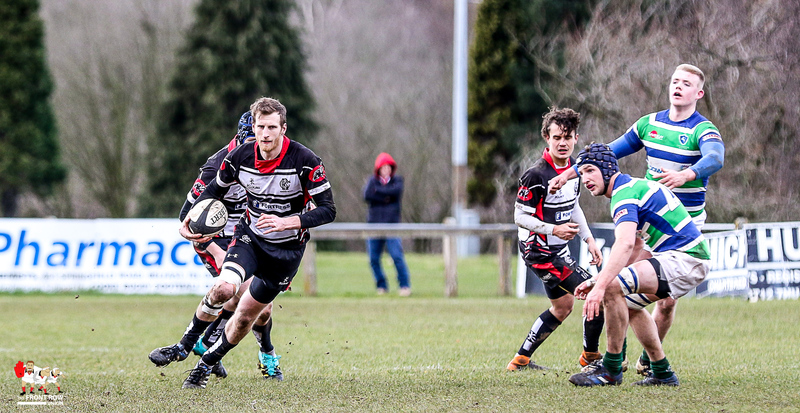 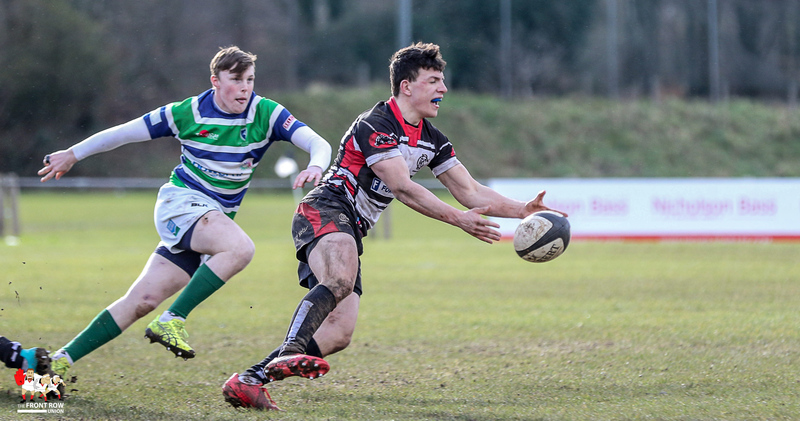 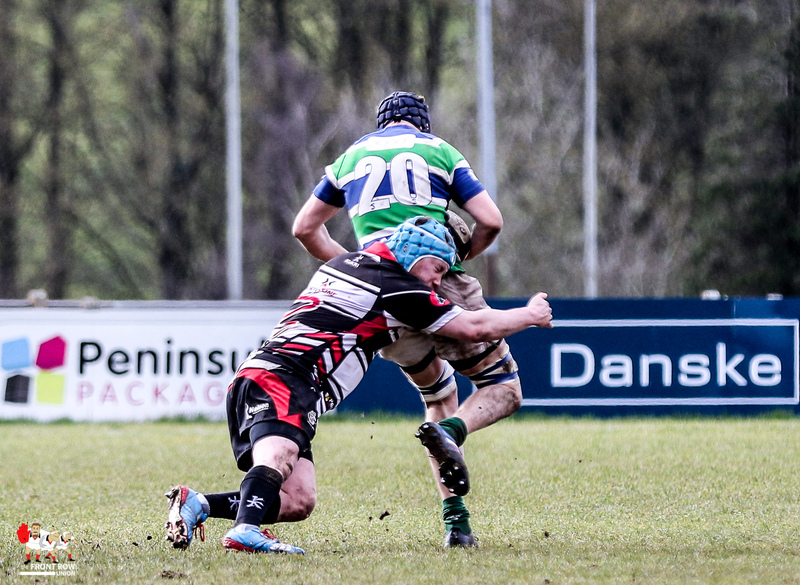 They will now meet Queen’s University Belfast RFC 2nd XV in the final at Ravenhill on Easter Monday, 22nd April. 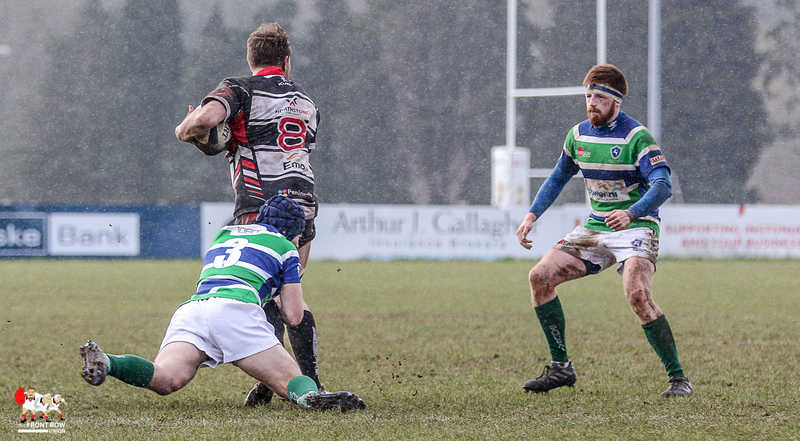 I was expecting this one to be played in rain and sleet but it ended up quite a pleasant afternoon, if a little chilly. 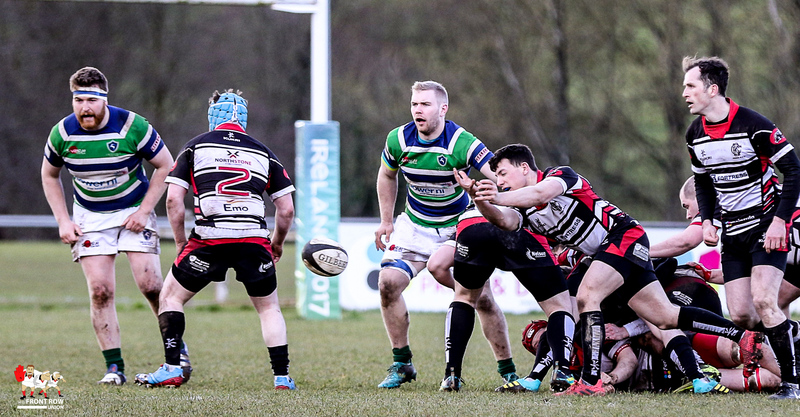 Both sides took advantage of the good conditions and certainly it was a more expansive and entertaining game than the first semi final on Friday night. 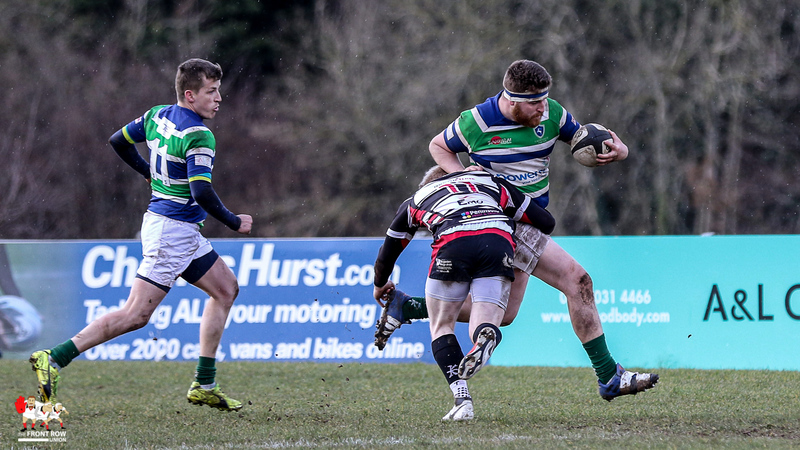 Grosvenor started the scoreboard clicking over with an early score from Pete Dawson who crossed out wide on the left for an unconverted try. 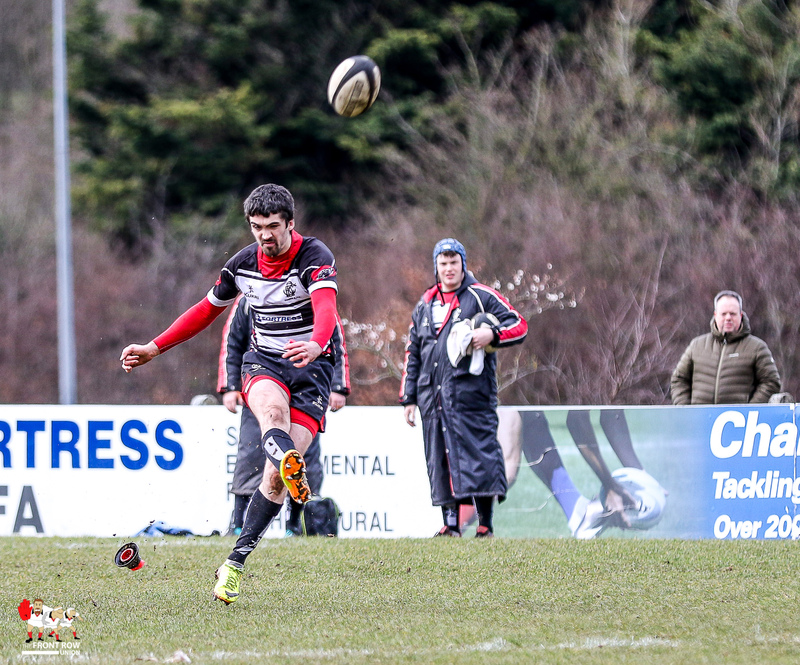 Cooke, with the wind at their back landed a long range penalty, by Andrew Hanna just eight minutes later. 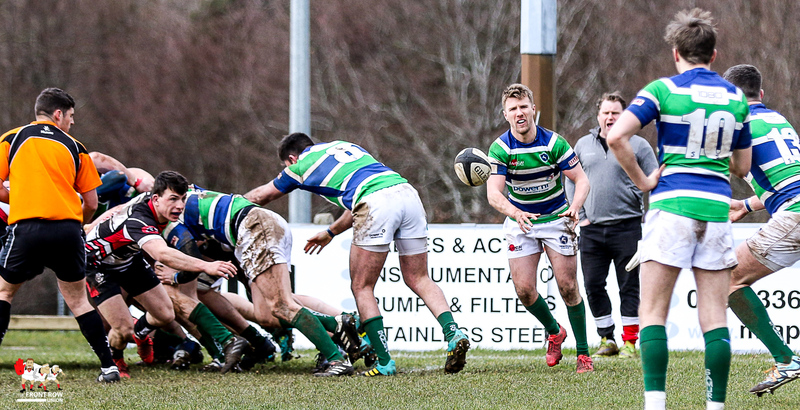 A Cooke player was yellow carded for a touch of over enthusiasm during the tackle release and Peter Davidson crossed for Grosvenor shortly after. 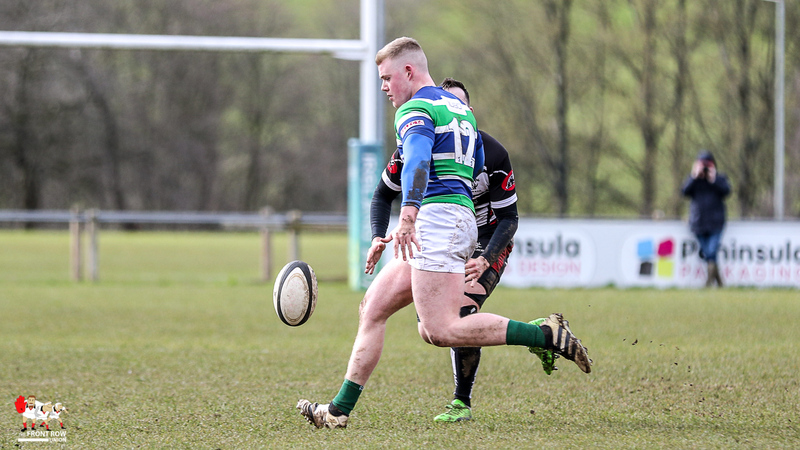 However, Phil Woods replied for Cooke while they were still a man down, a sniping run seeing him sneak through the defence. 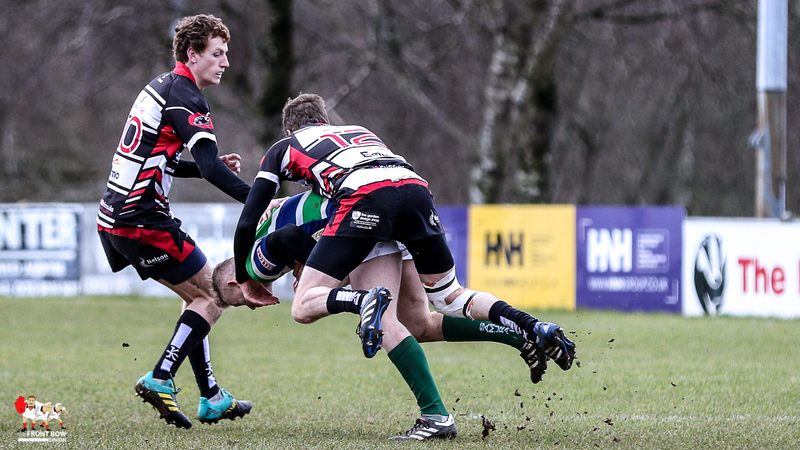 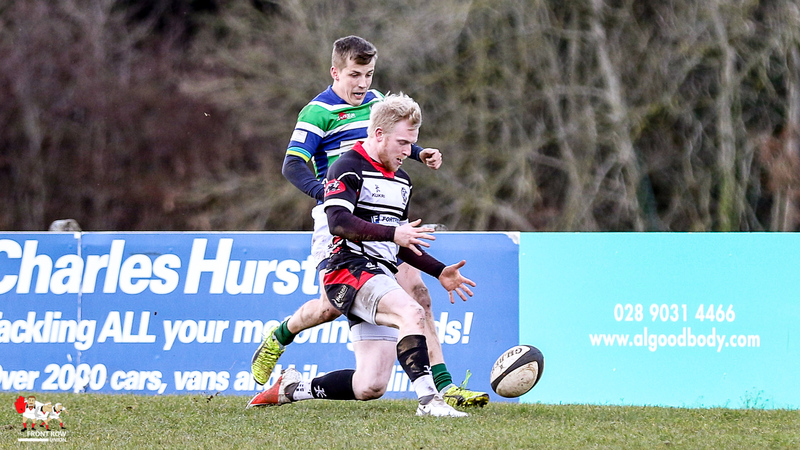 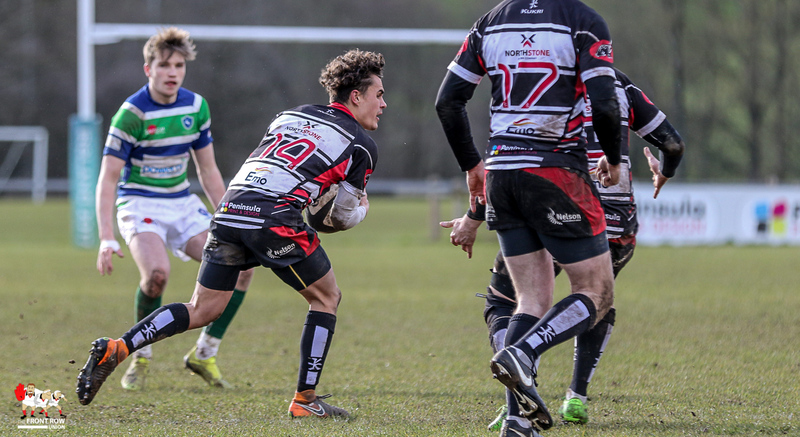 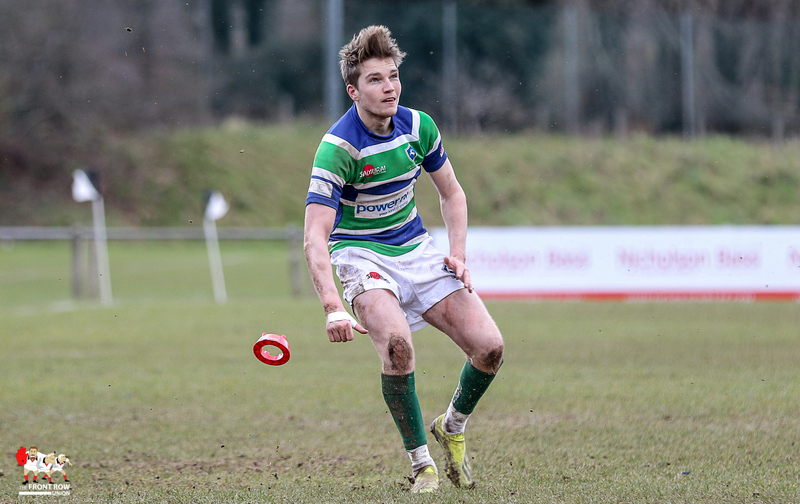 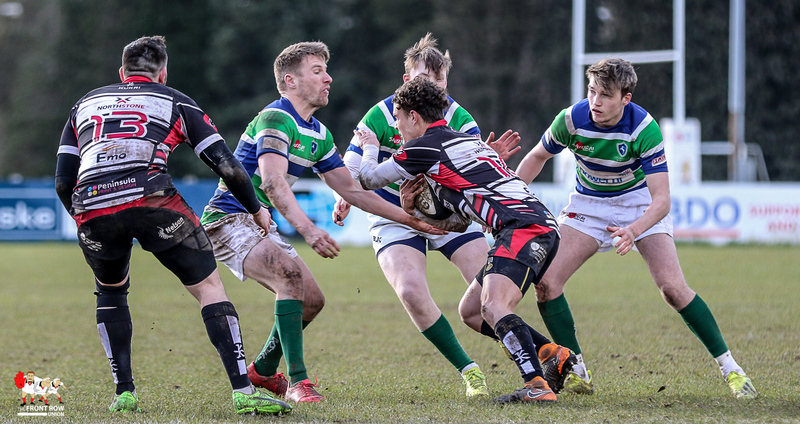 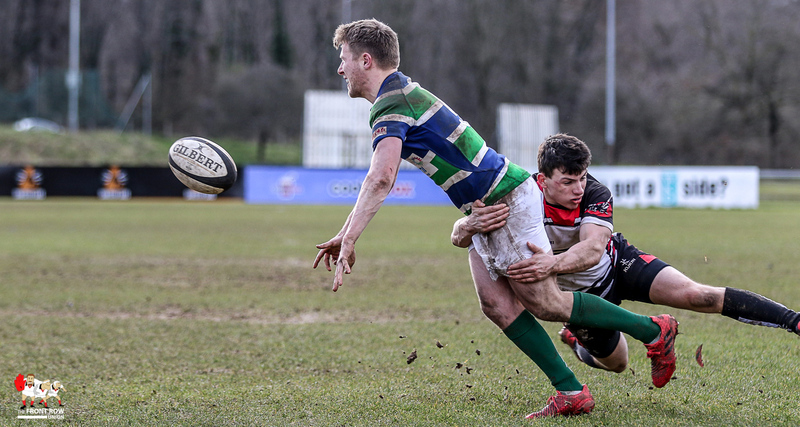 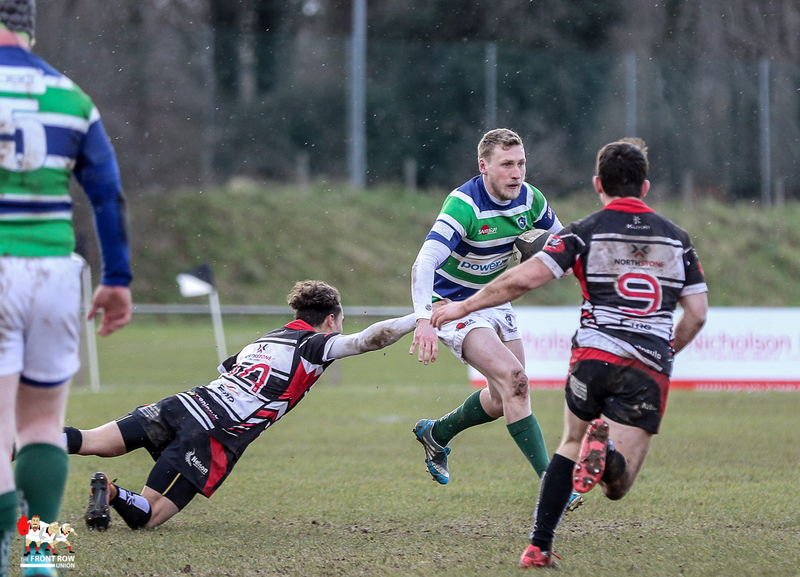 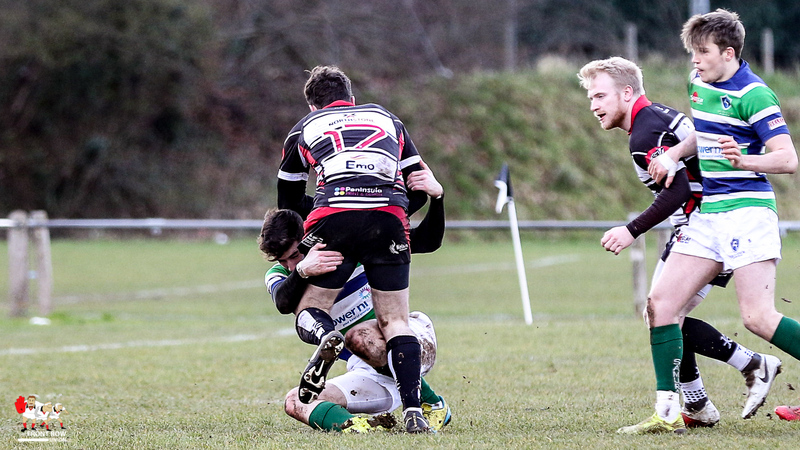 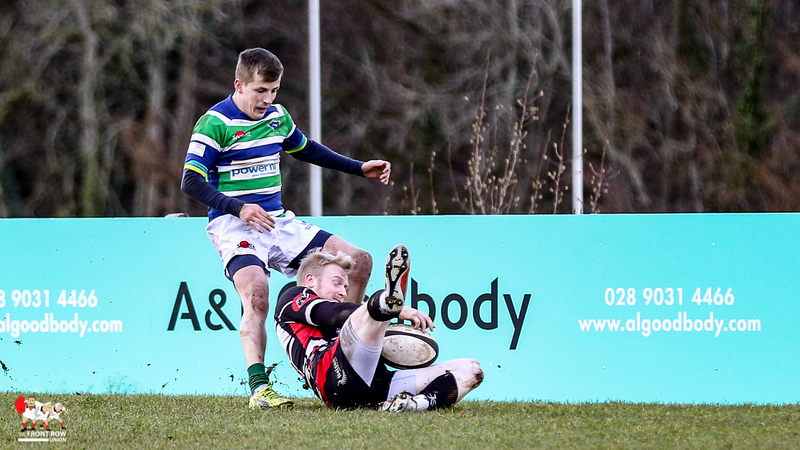 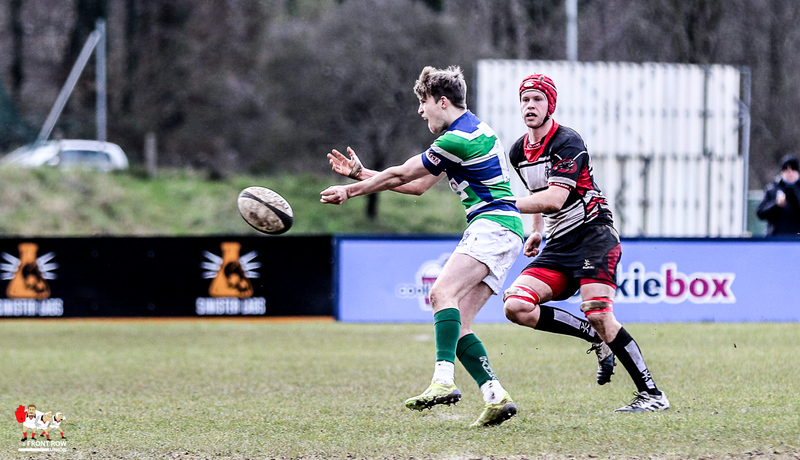 Both tries were unconverted leaving the score at 8 – 10 in Grosvenor’s favour. 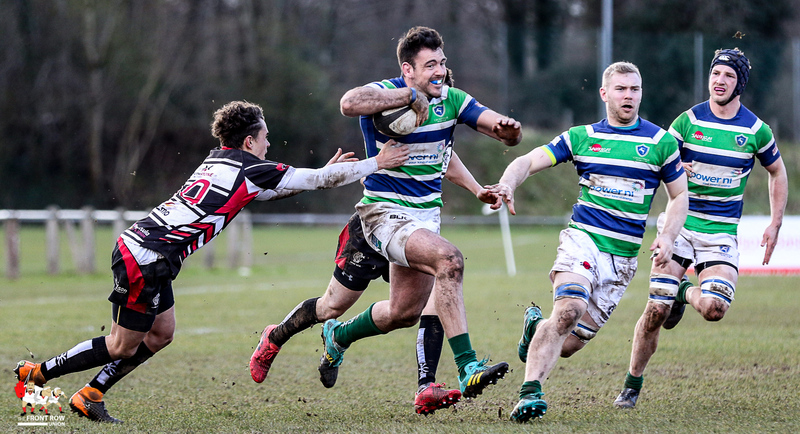 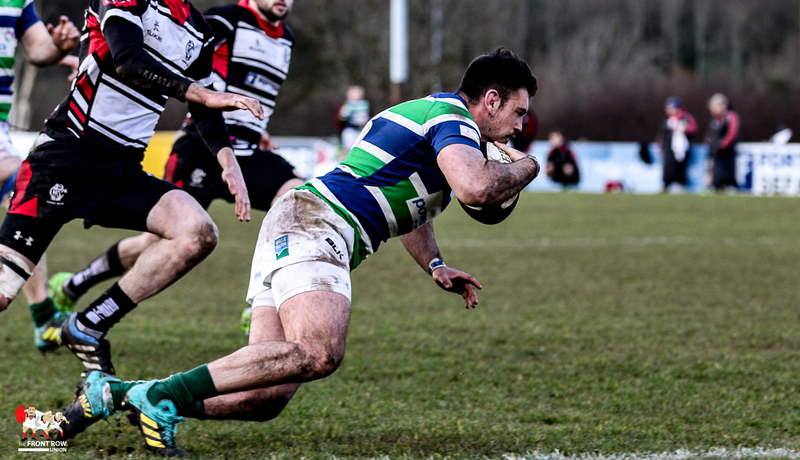 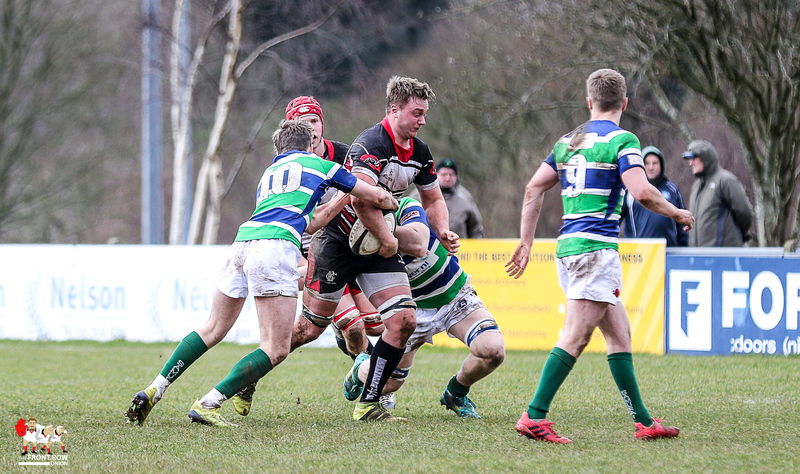 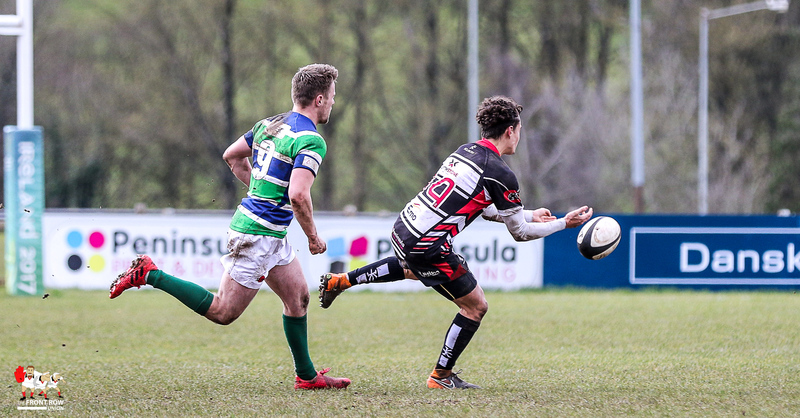 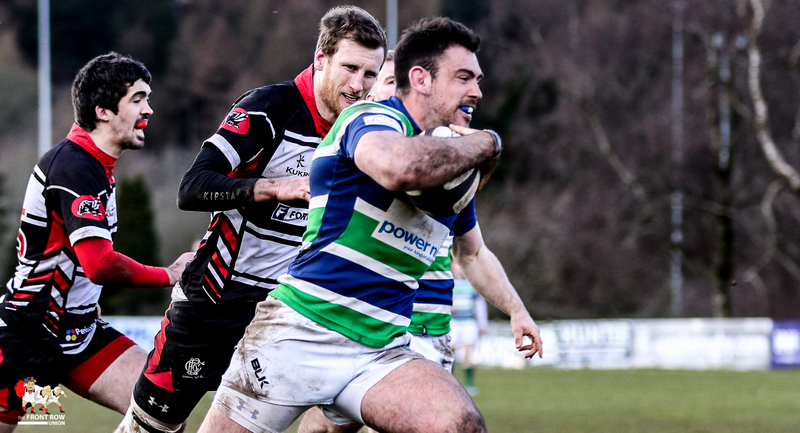 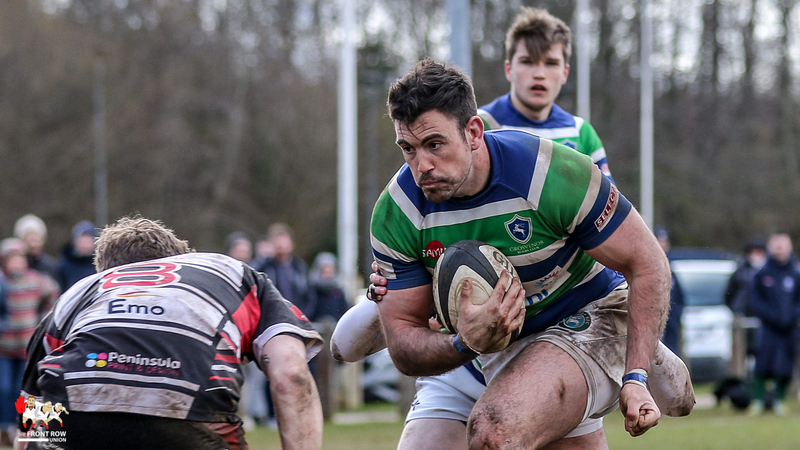 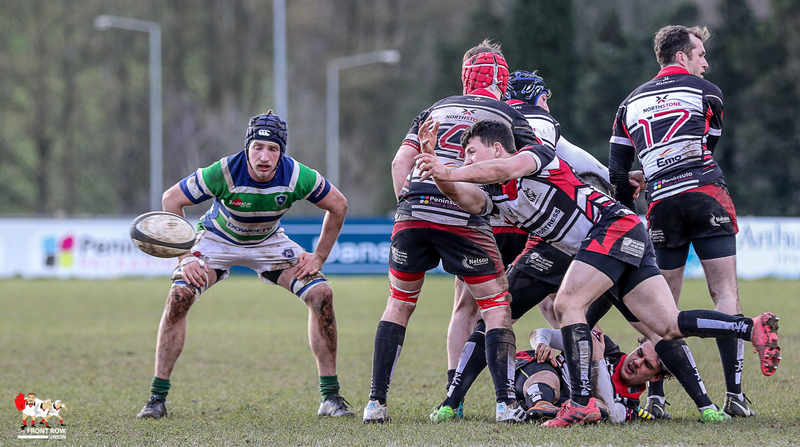 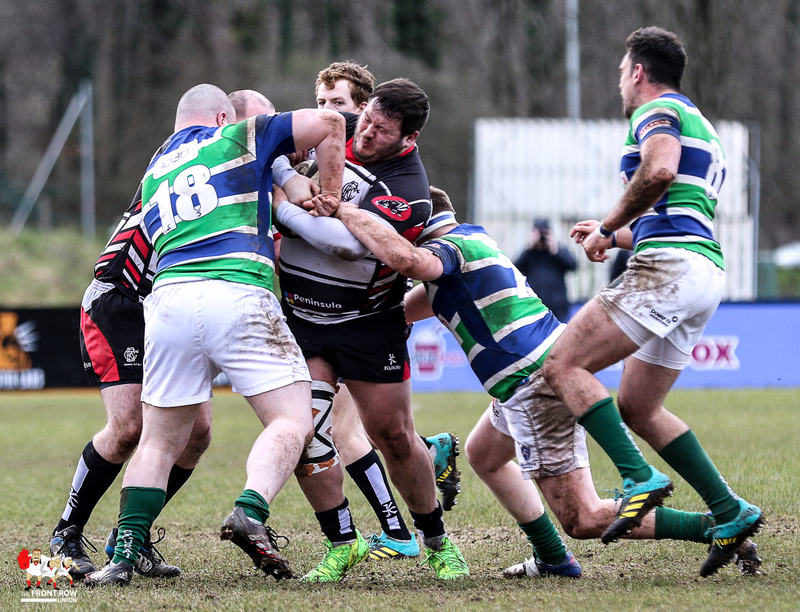 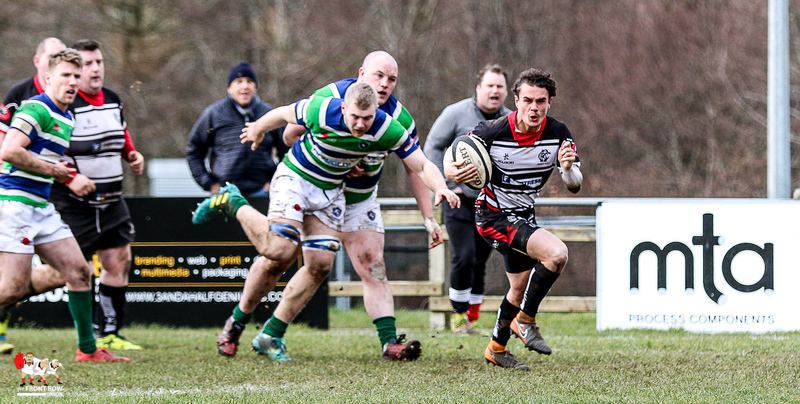 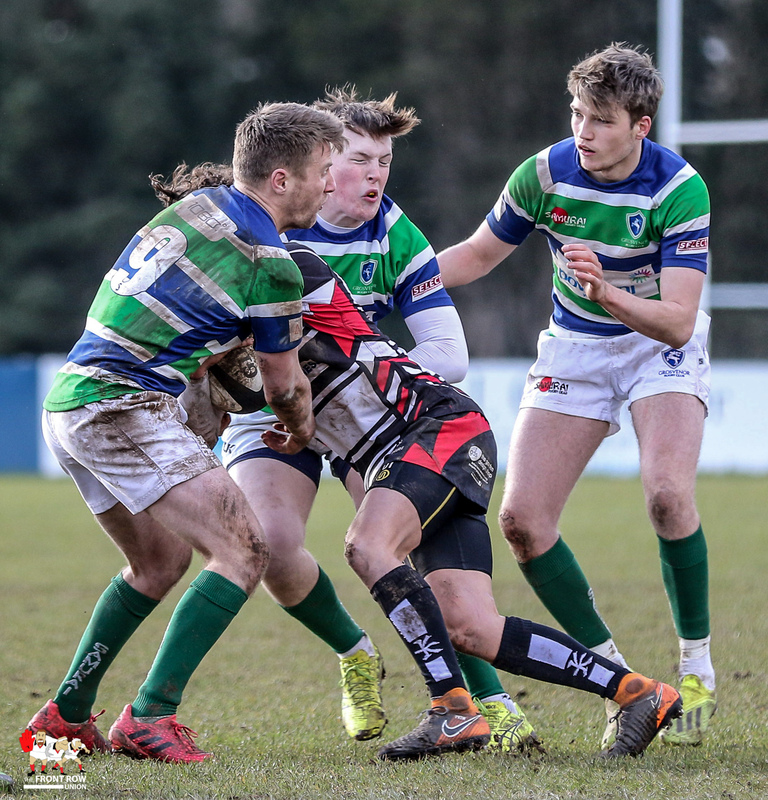 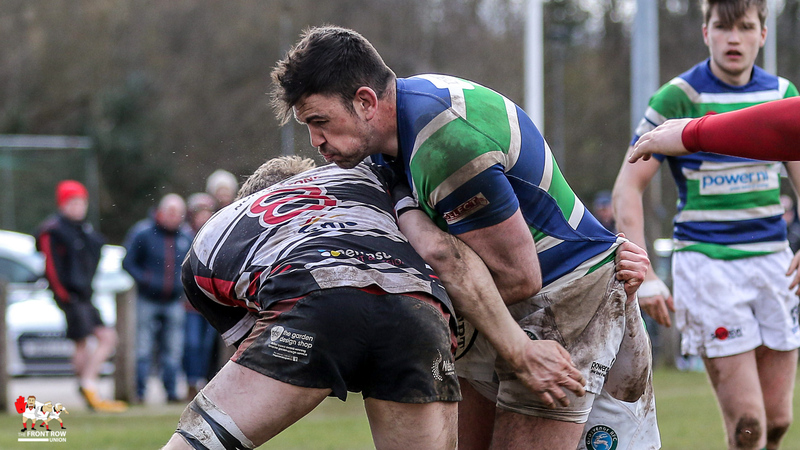 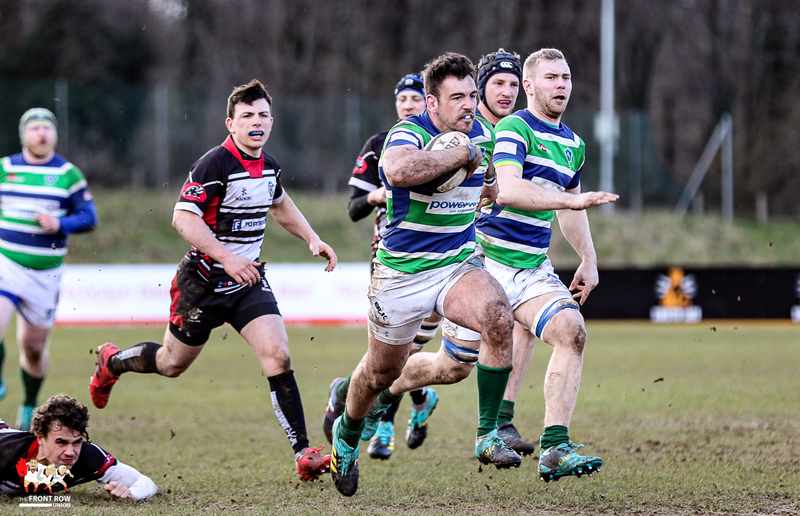 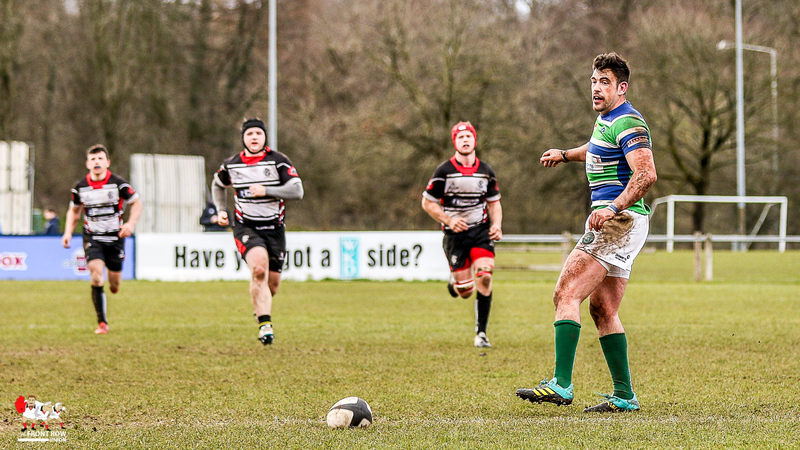 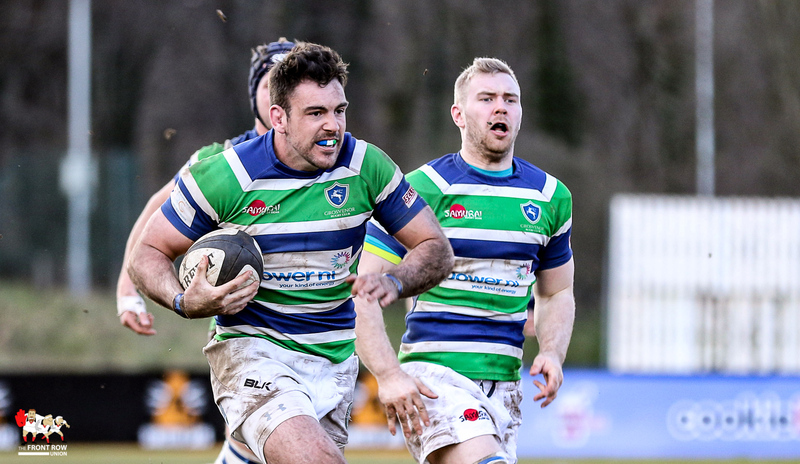 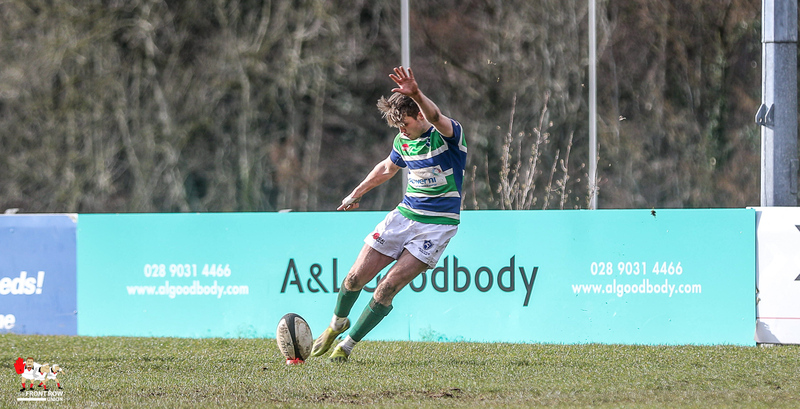 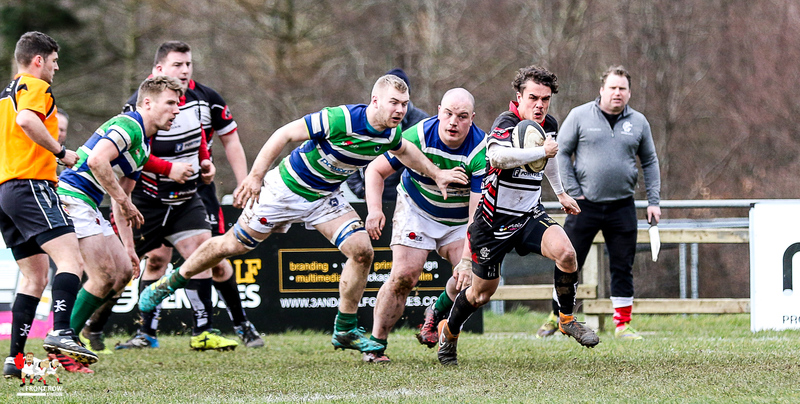 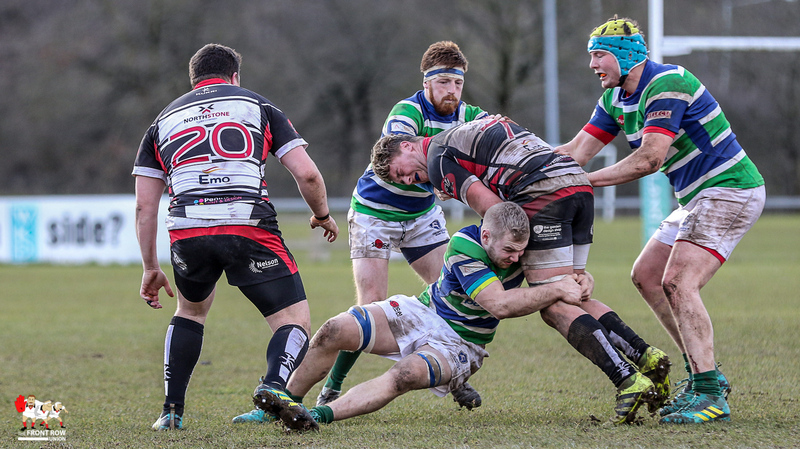 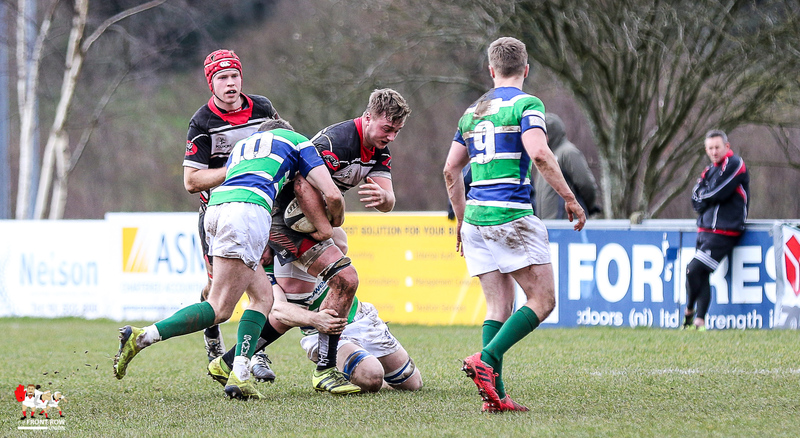 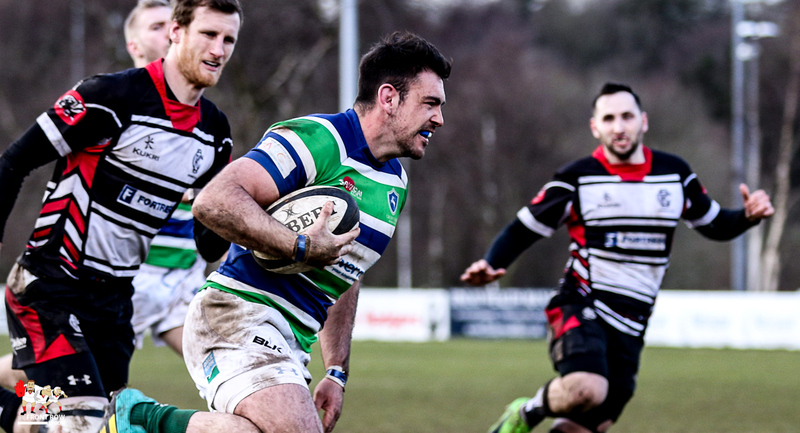 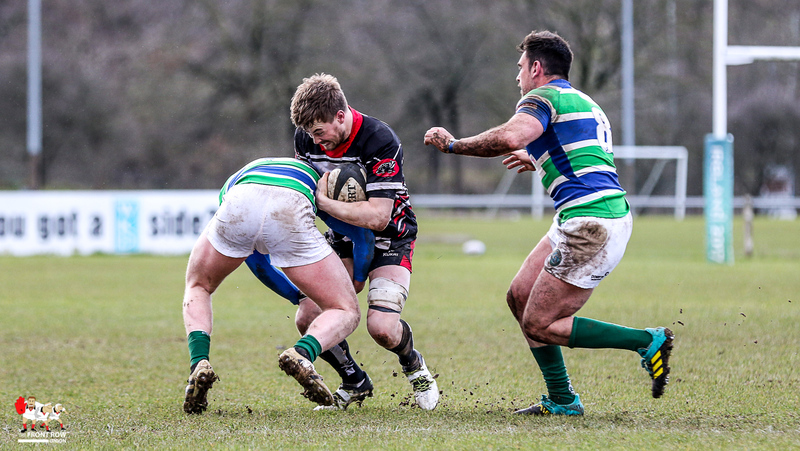 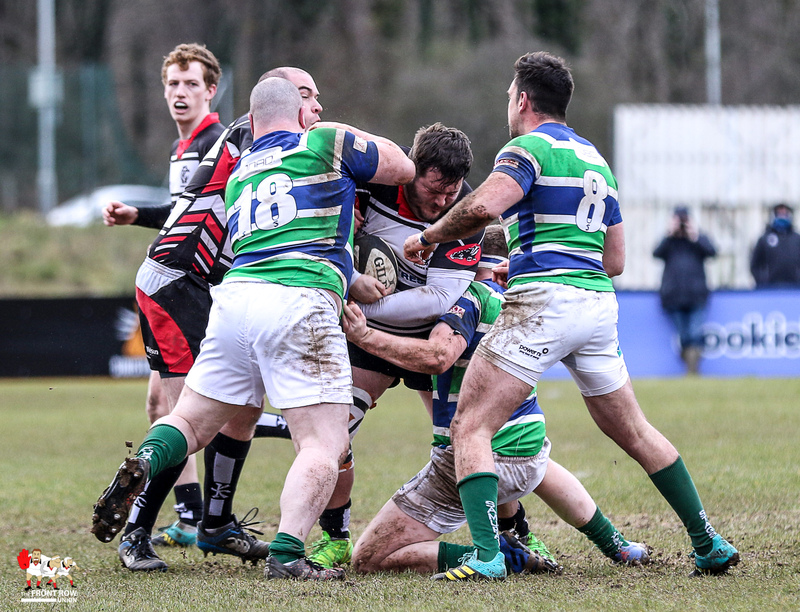 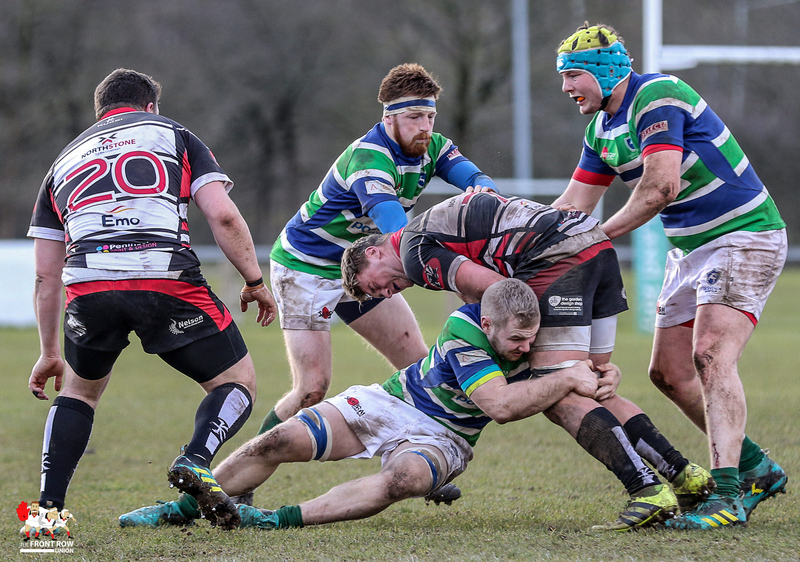 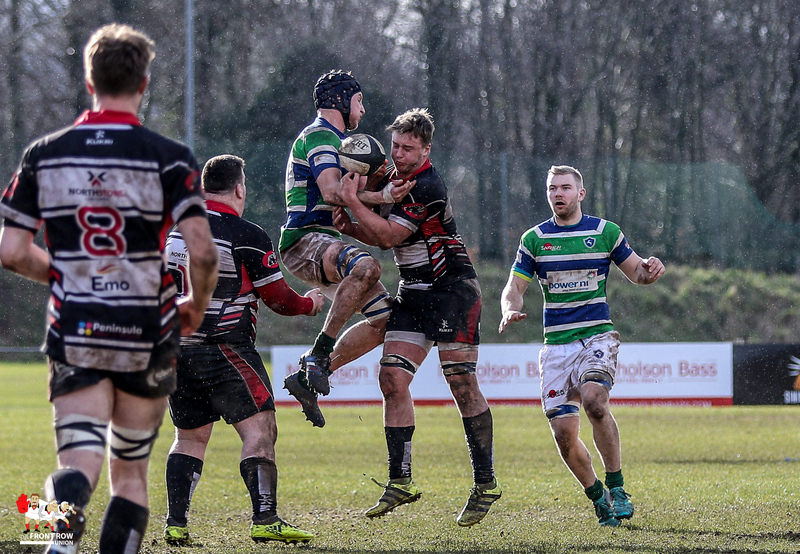 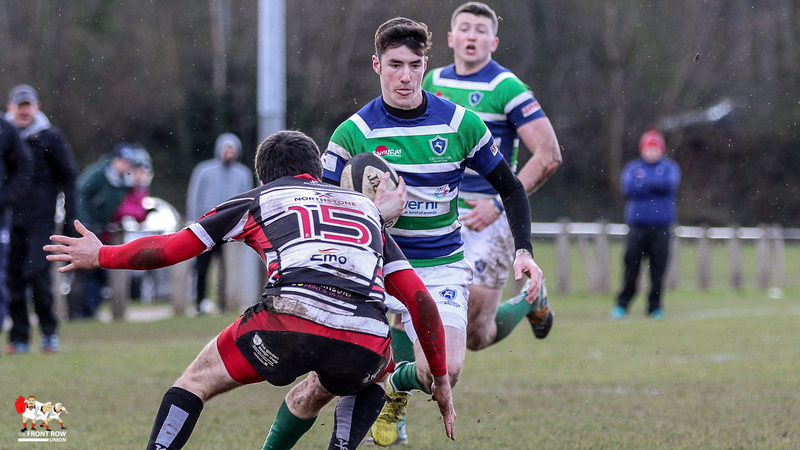 Grosvenor responded almost immediately with Jos McConkey crashing over for a try, converted by Adam Skelton and, as their scrum began to dominate, the visitors grabbed their fourth score on the stroke of half time with Pearce Jamison finding the line. 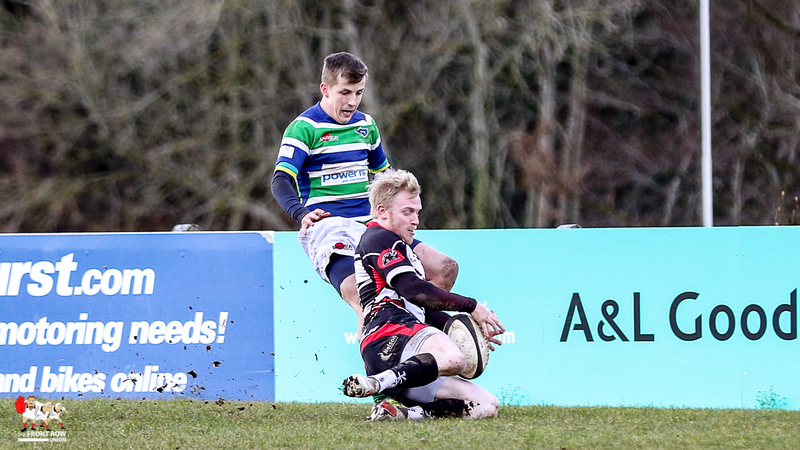 No conversion on this one, leaving the score at half time 8 – 22 in Grosvenor’s favour. 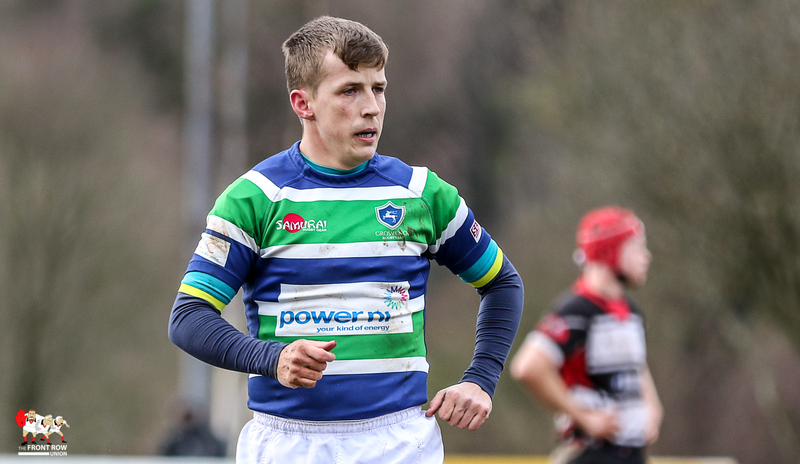 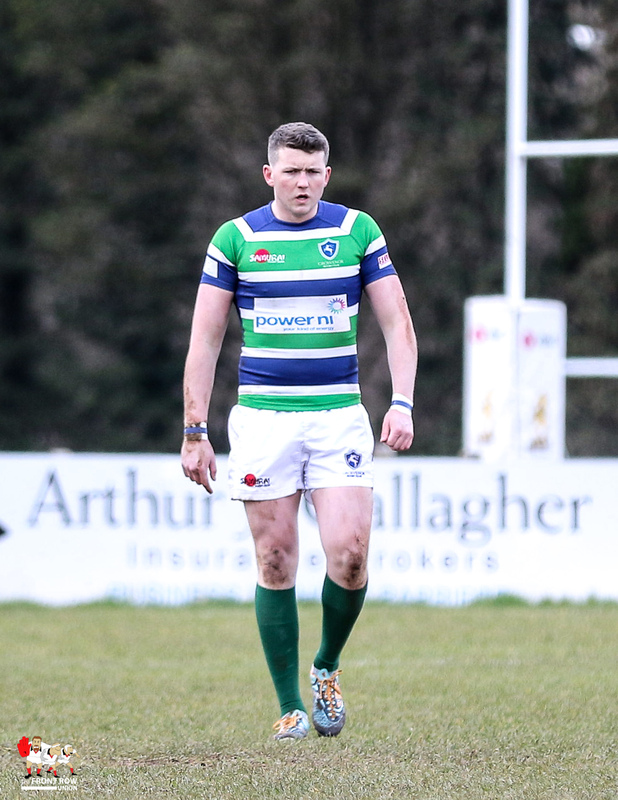 An outstanding try from Andrew Kelly, at the start of the second half, pushed the game firmly in Grosvenor’s favour and saw him pick up our nomination for the Samurai Star Player after a powerful run that started well in his own half. 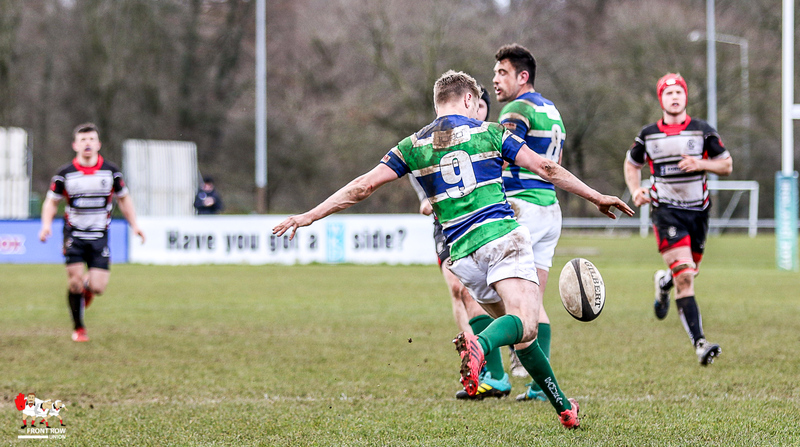 The conversion extended Grosvenor’s lead to 8 – 29. 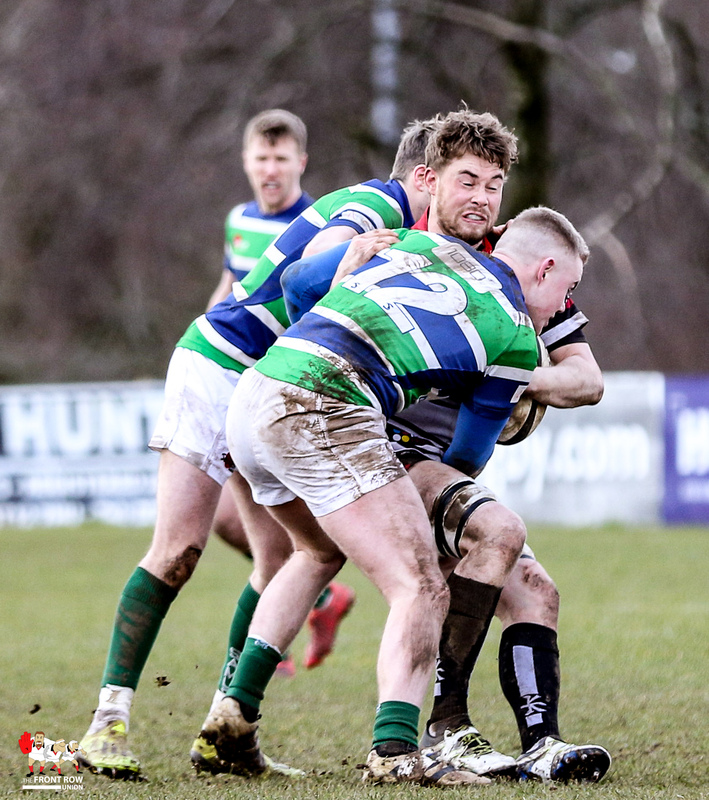 Despite thier scrum getting well and truly chewed up by this stage, Cooke hit back with a ty of their own from fullback Alex Gourley who converted his own score. 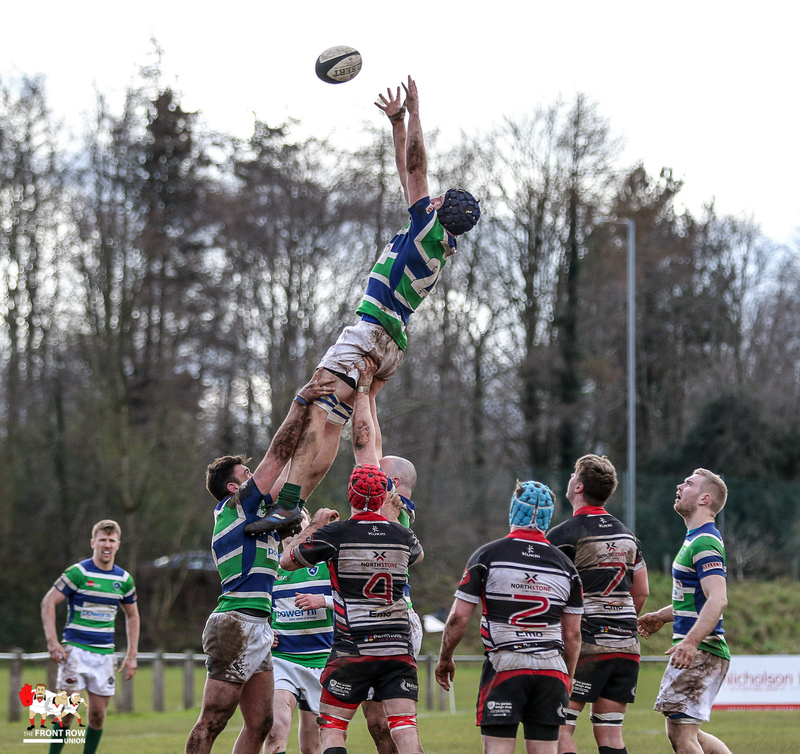 Any thoughts of a come back were quickly quashed as that man Kelly was on hand to finish off a powerful run from Davidson taking the score to 15 – 34 as the game went into the final quarter. 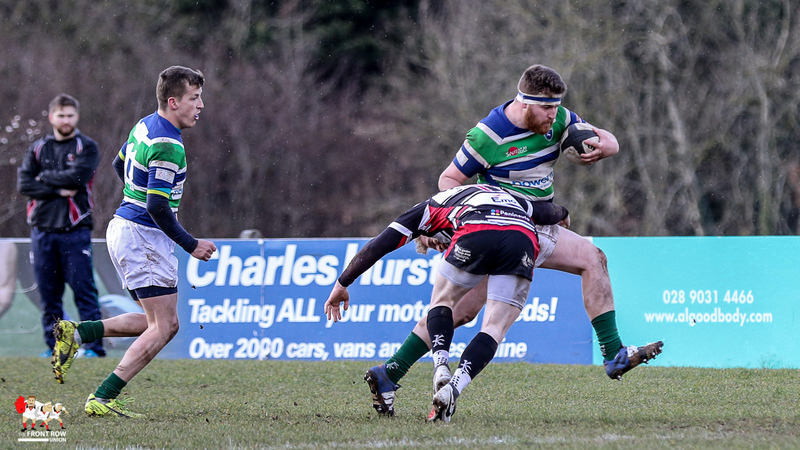 Cooke refused to lie down and they were next on the scoreboard with Josh Harper crossing for an unconverted try but it was Grosvenor’s pack that were to have the final word with thier powerful scrum taking one against the head for Neil Adams to power over for the final score of the game. 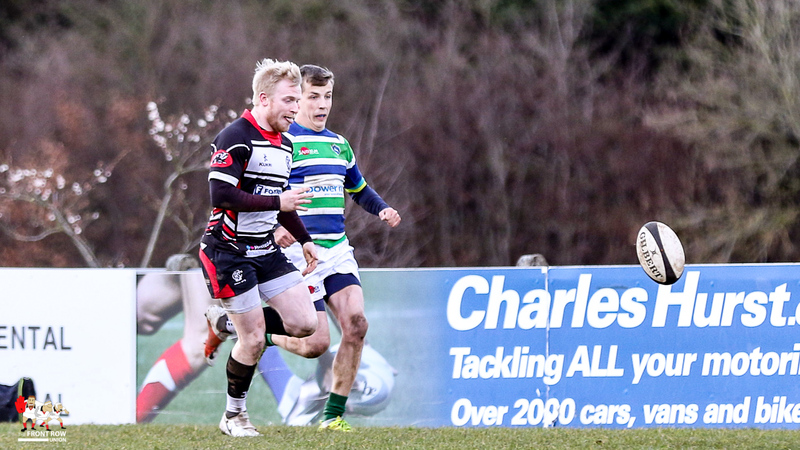 Final score: Cooke 20 Grosvenor 39. 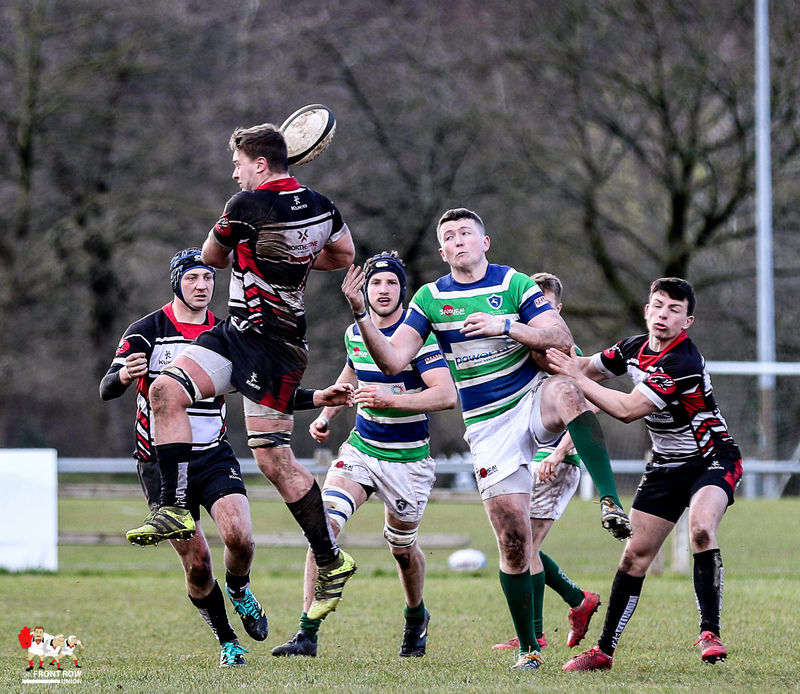 Saturday 16th March 2019. 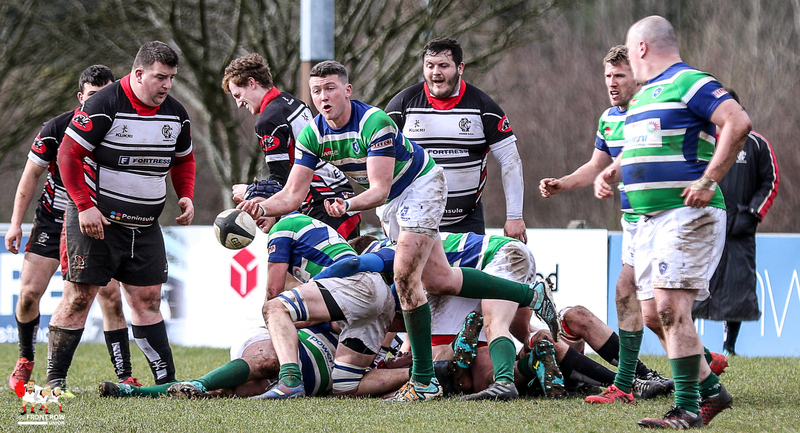 Grosvenor beat Cooke in the semi final of the McCrea Cup at Shawsbridge.